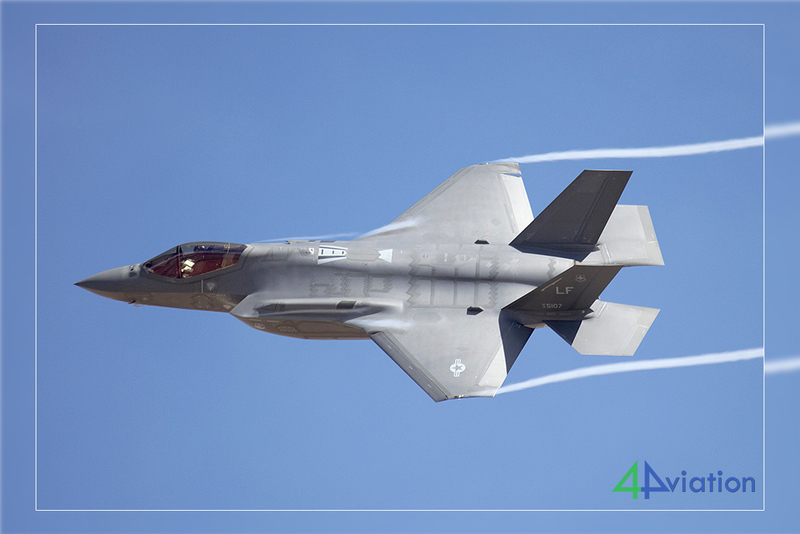 4Aviaton had, because of the great interest and consecutive air shows, split this USA trip into parts. Part of the group went the first week, part the second week and part both weeks. A total of 21 people had a good time in the southwest of the States. The first USA trip for 2019 started on Friday, March 8 at Schiphol. Around eight o’clock in the morning, seven men gathered to fly to Heathrow with British Airways. Here we met four more people from Italy and the United Kingdom. Via a leisurely flight with a B747-400 we arrived in Phoenix early in the evening. After customs formalities and collecting the suitcases, the car rental company was the next station. Three cars were picked up here for the coming week. We had a nice ride from Phoenix to Yuma. We arrived at the hotel around midnight and quickly checked before going to bed. After a nice breakfast at our hotel on Saturday, March 9 on the way to the open day at MCAS Yuma. The hotel is close to the airport so we didn’t leave too early. We soon found the entrance and by half past eight we drove onto the field and we were able to park in a large parking lot near the Harrier sheds. From here we were taken by bus to the ramps and encountered the usual security checks. Foreigners with the exception of our British colleagues were screened separately by the NCIS. Taking photos, fingerprints, etc. Our lead over the day trippers who flooded the ramps soon shrunk, which was a great pity. After all the formalities we could finally go on the static. This was small this year with few visiting aircraft. We quickly searched for a spot near the taxitrack and were waiting for the air show. In terms of air show the sun is in your back until about two o’clock in the afternoon. 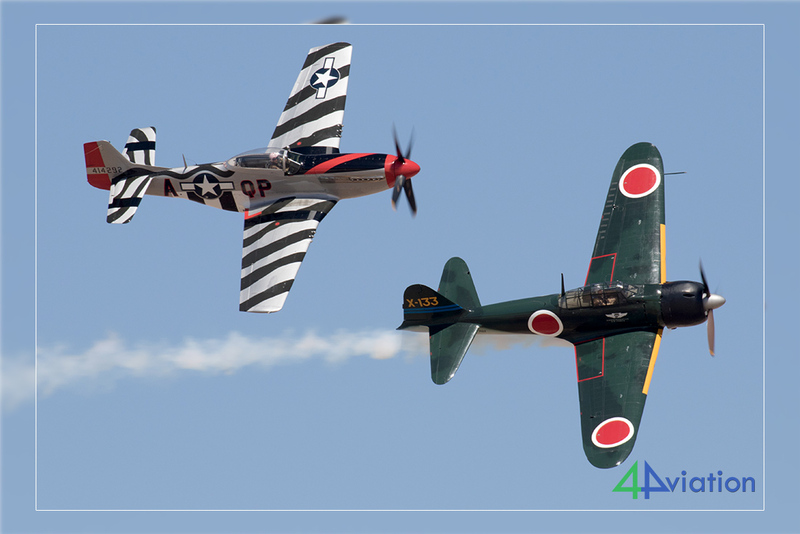 The participating aircraft will pass by right in front of you. 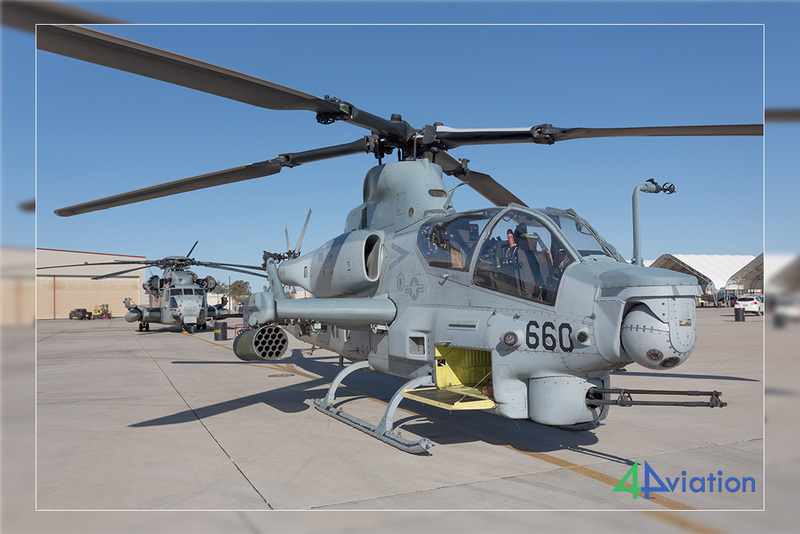 An airpower demo with four F-5Ns from VMFT-401, AH-1Z, UH-1Y and a CH-53E was fun to photograph. 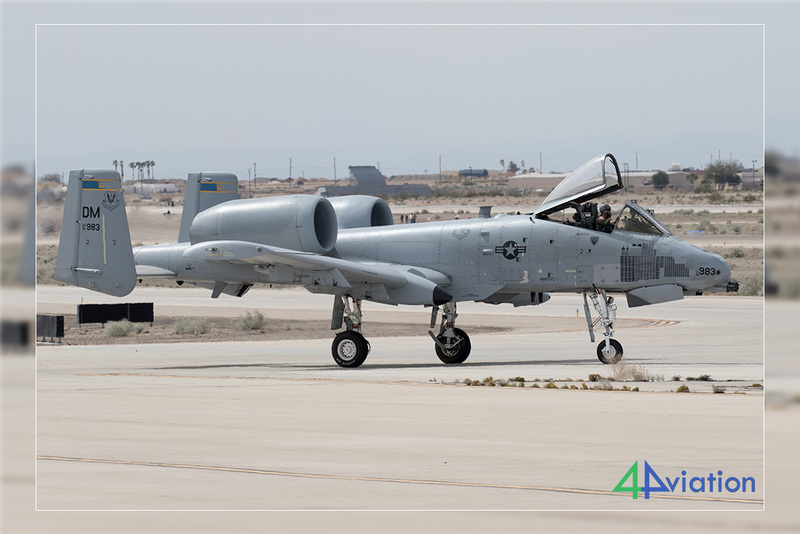 The USAF also participated in the air show; namely with an A-10C from Davis Monthan (there were also two on the static). Back to our hotel in time. It was a nice sunny day. On Sunday, March 10, we left for Mesa Williams Gateway around eight. We arrived here around half past eleven. 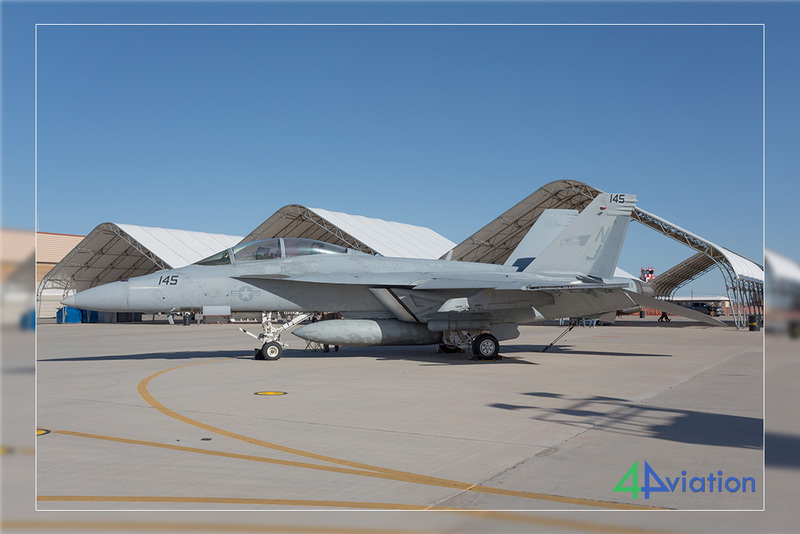 Unfortunately there were not many visitors this time; only a single F/A-18C from VMFAT-101 and this was on static at yesterday’s show! 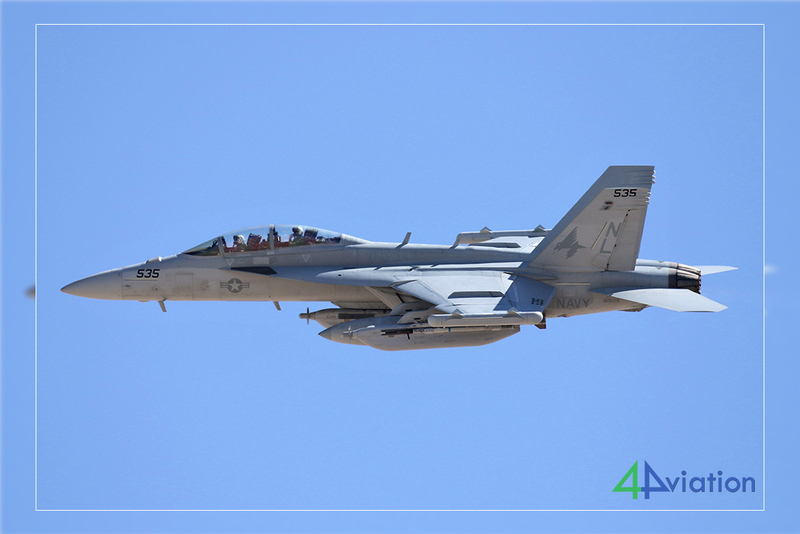 This Hornet flew a local mission from Gateway and was easy to photograph. The atmosphere on Yuma Gateway is always very relaxing and again it was a beautiful sunny day. In the evening we drove to our hotel in Tucson. Arrived nicely on time and had a nice dinner at the local Denny’s. 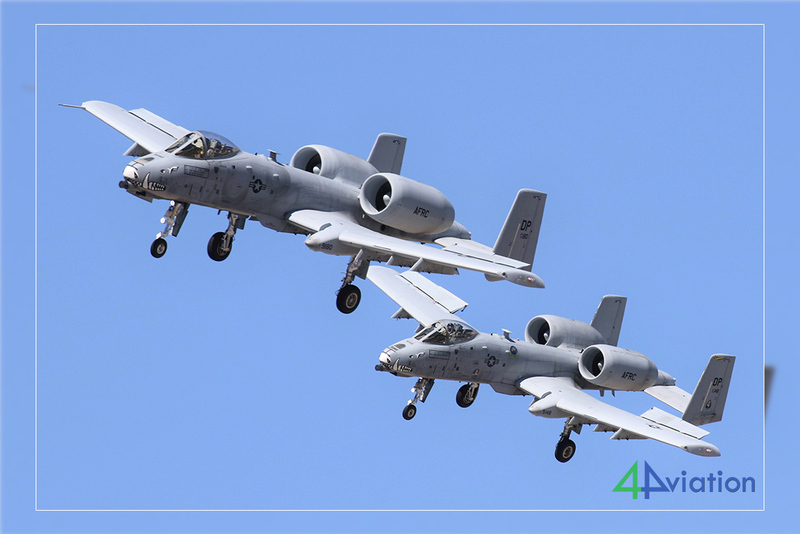 This Monday, March 11, we started at Davis Monthan AFB because we knew the National Guard at Tucson was flying in the evening. In the morning we first spend some time in the approach next near the bike lane. One car had stayed at the Pima museum to visit the Pima museum and the local bus tour of the AMARC. This car would join the rest again in the afternoon. 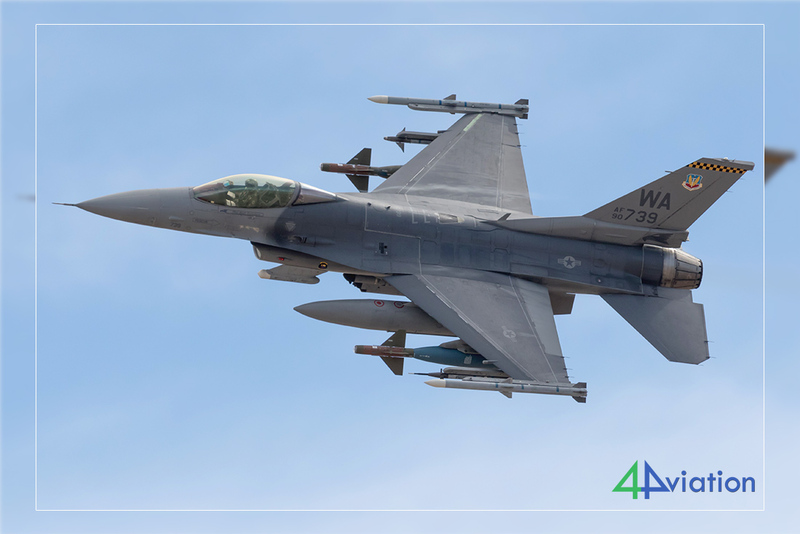 Among other things, two QRA F-16Cs of 162nd FW arrived, a UC-12F of MCAS Yuma, a KC-135R of 92nd ARW and two F-16C/Ds in an overshoot of the 162nd FW. 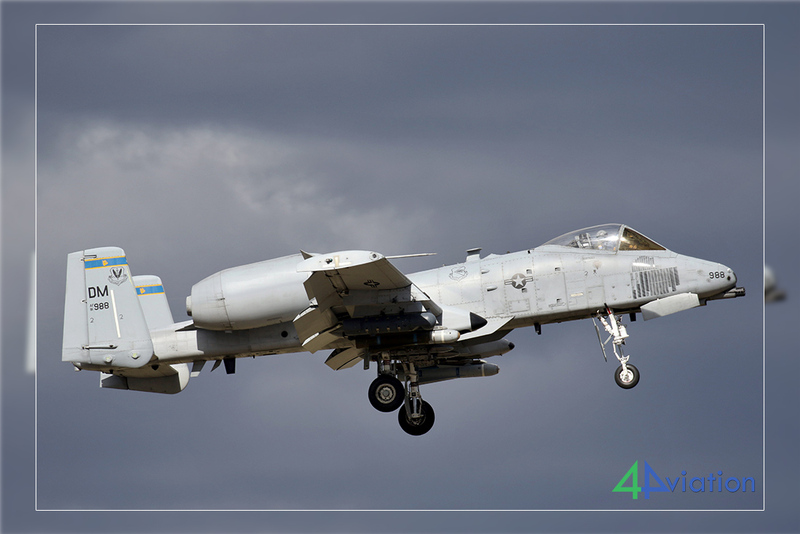 Soon the first “DP” A-10Cs from 47th FS arrived. 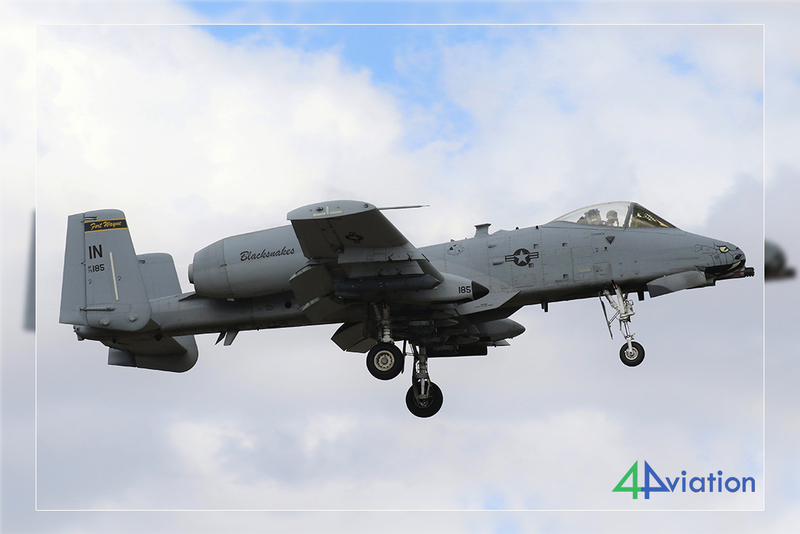 These flew in the morning and in the afternoon the “DM” A-10Cs started to fly. Finally an HH-60G and a local Hercules went out. 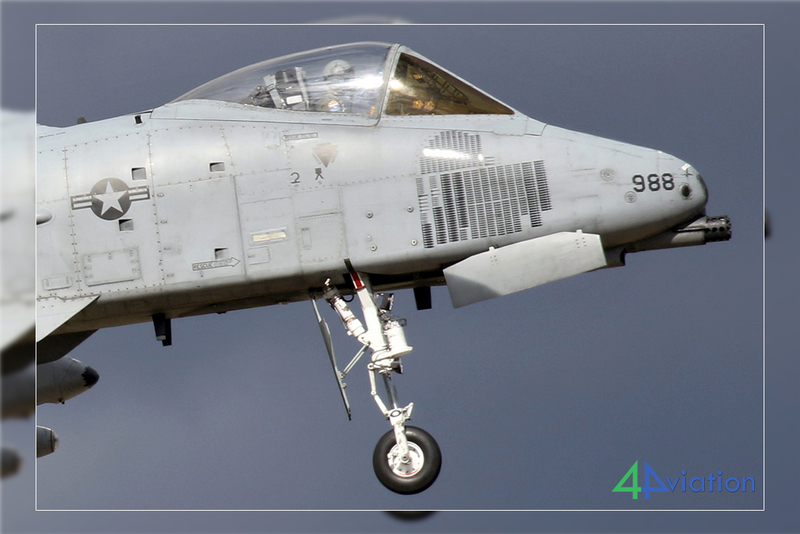 In the afternoon the clouds started to increase more and more resulting in very nice pictures of landing A-10s with a dark background sky and full sun. In the course of the afternoon they also decided to change the runway and we went to the Pima side to watch the landing here. 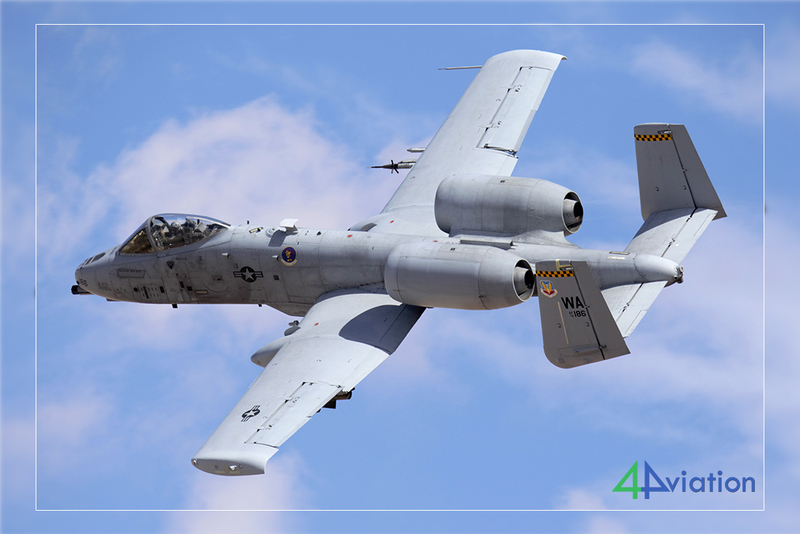 Because Davis Monthan flew nicely with her A-10s, we decided not to go to Tucson this afternoon and stay. 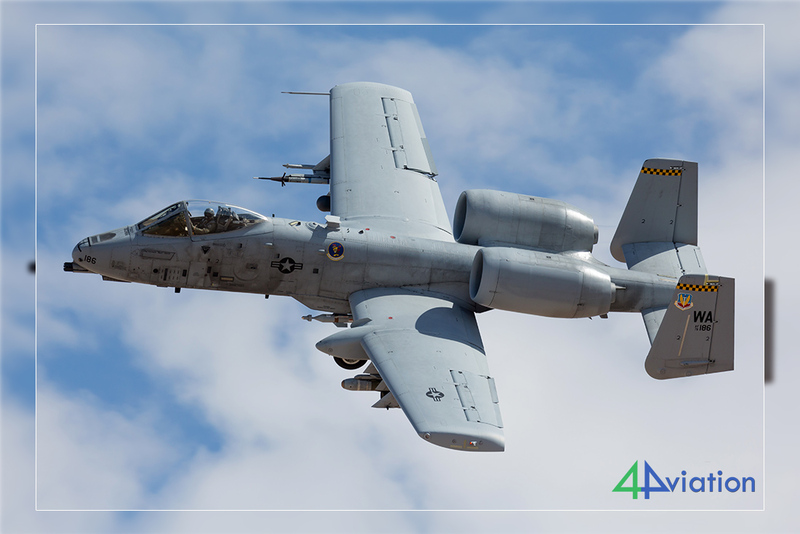 A total of 28 A-10Cs were photographed in the approach. Not a bad day! After the sun had disappeared, we decided to drive AMARG and take some pictures. When the lights went out we drove via the Dennys in Tucson to our hotel in Phoenix. In the meantime we had checked the weather forecast for Luke for the next day and that did not look good. A lot of rain was predicted. 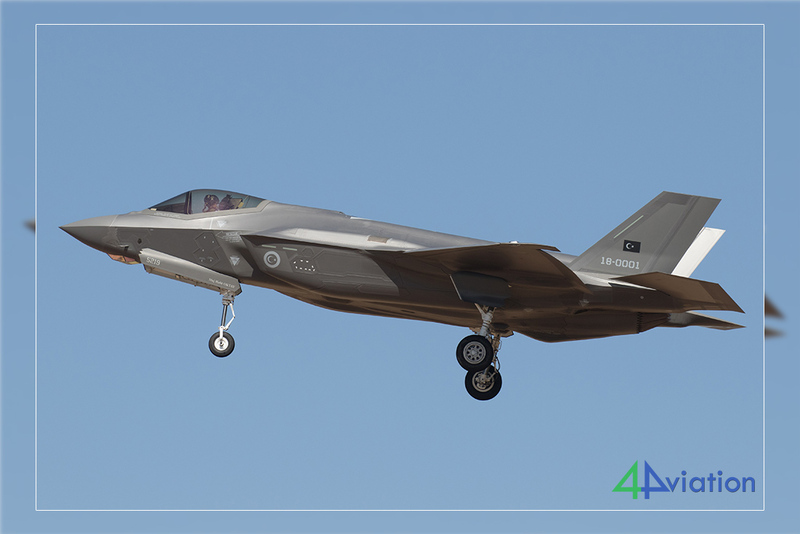 After consultation, we decided to skip Luke AFB and drive to Nellis AFB early in the morning to try our luck there. The forecast for Las Vegas and the surrounding area looked much brighter. In retrospect this would be a good choice. 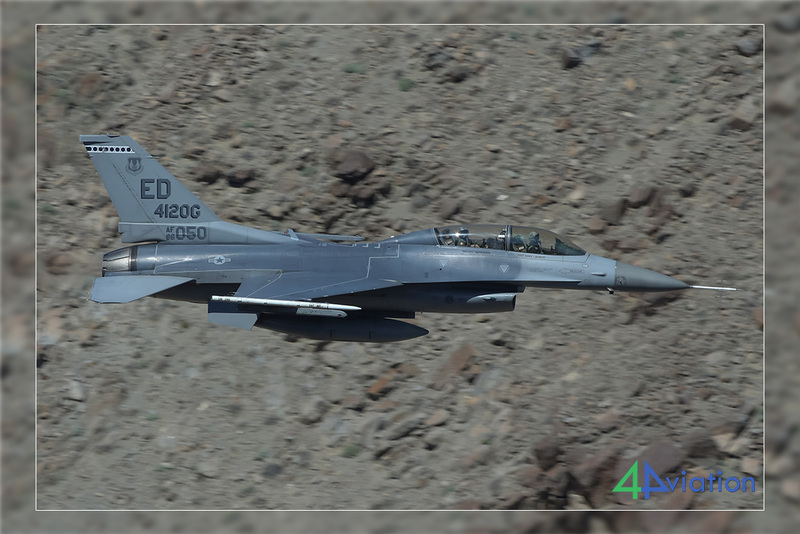 On Tuesday March 12, early on our way to Nellis AFB. The day started, as predicted, with rain and it continued to rain during the drive to Las Vegas. 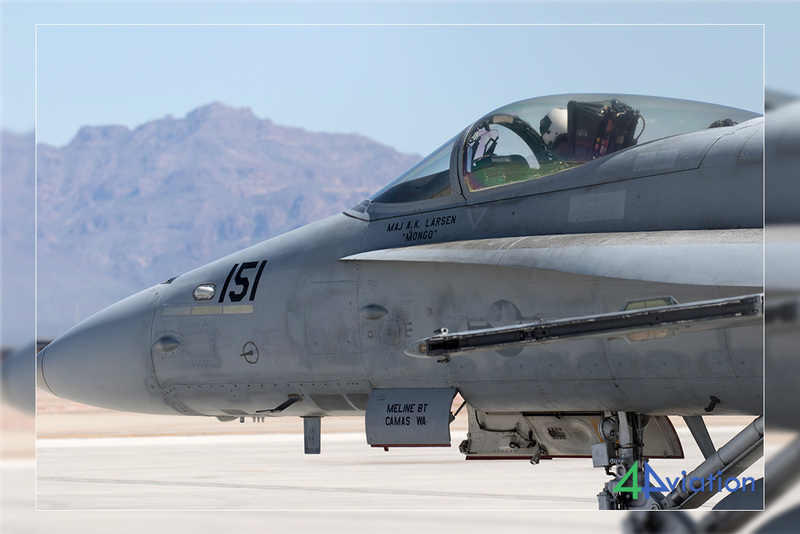 When we arrived at Nellis AFB around noon, it became dry and the sun came out more and more. The launch of the Red Flag participants started around half past one. We were standing at the Speedway and most of the aircraft left, to our surprise, with the Flex departure (after taking off banking hard left over the Speedway). Normally you see this only by the local aircraft but now also the most Red Flag participants. 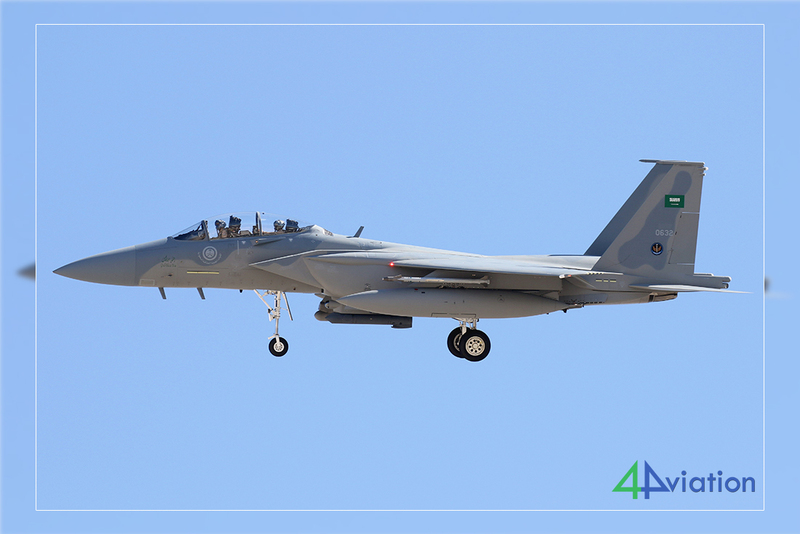 Nice was the participation of Saudi and Singapore F-15s, UAE F-16s and a Colombian KC-767. The weather got better and better. The landing also largely went via the Speedway. Unfortunately, many aircraft also arrive at the back runway. You have a nice background, but the aircraft, with the exception of the tankers, are small and you have a lot of heat waves. 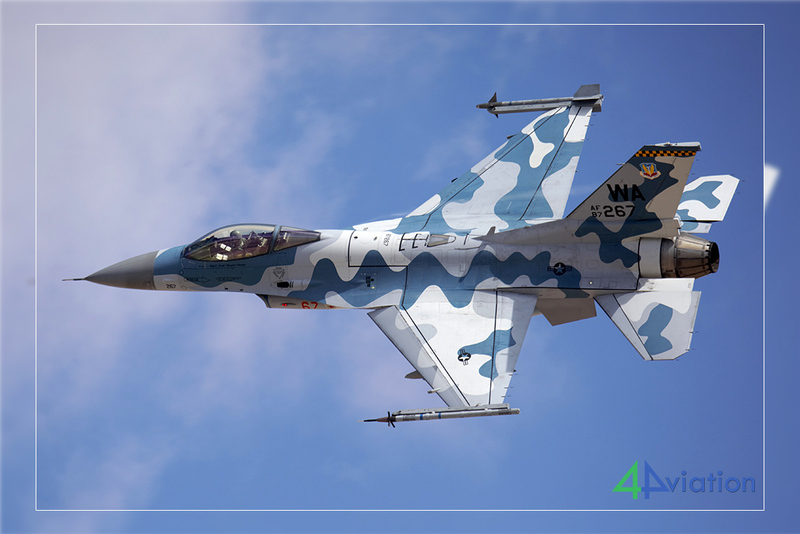 We were able to capture many aircraft, including many coloured aggressor Vipers. A fun day. 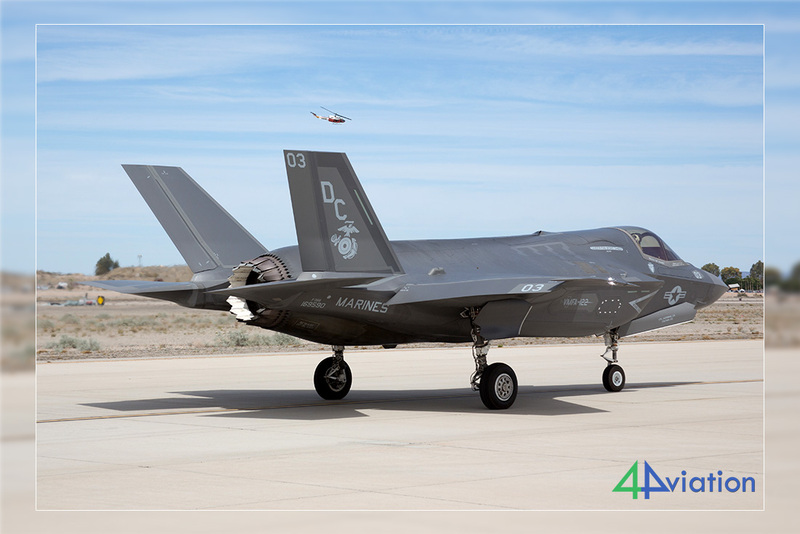 On Facebook we saw the delivery of F-35A F-007 to Luke AFB in the rain. So we made a good choice today. Around half past six it was time to visit our hotel in Las Vegas. 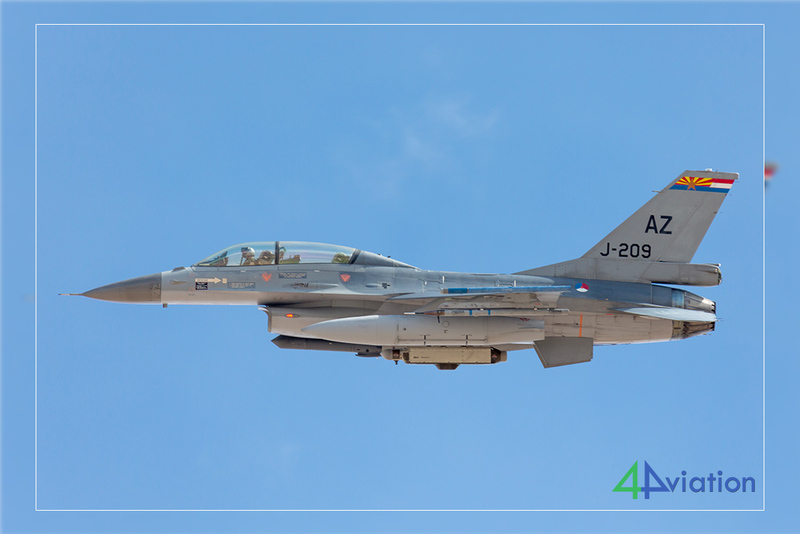 The Dutch detachment participated in this Red Flag edition, was also logged here. In the evening we had dinner in the city and then viewed the first photos. This Wednesday, March 13, Red Flag was on the program again. The sun was shining but there was a strong fresh wind. First we started at Cheyenne. The local aircraft did not fly and it was very quiet this morning. 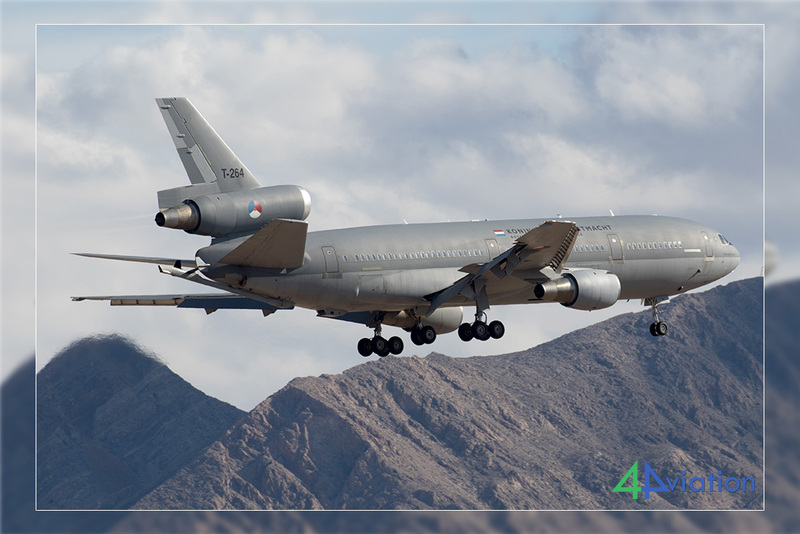 After an hour the Dutch KDC-10 took off, the Red Flag mission had begun. This afternoon part of the Red Flag mission took off towards Cheyenne and again many banking shots could be taken. In terms of light, you are not optimally positioned here, but everything went out via the same runway. 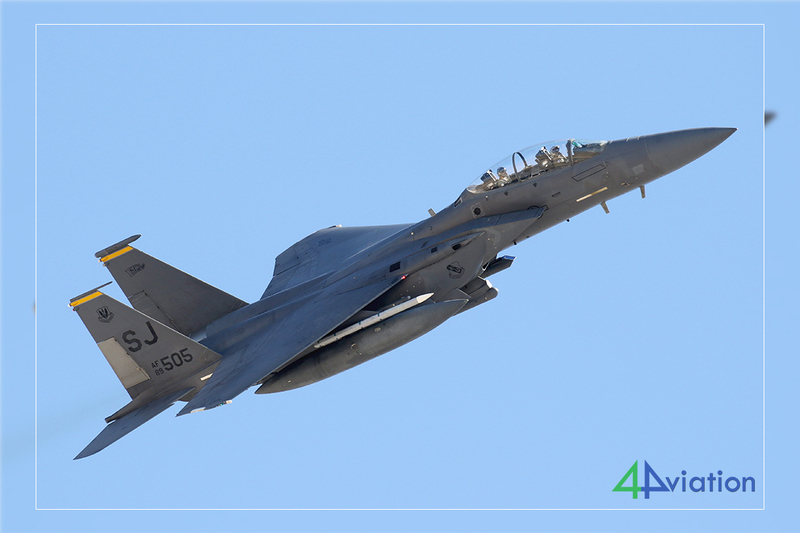 It was mainly the Eagles that took off, including all six MO F-15Es from the 428th FS / RSingAF. 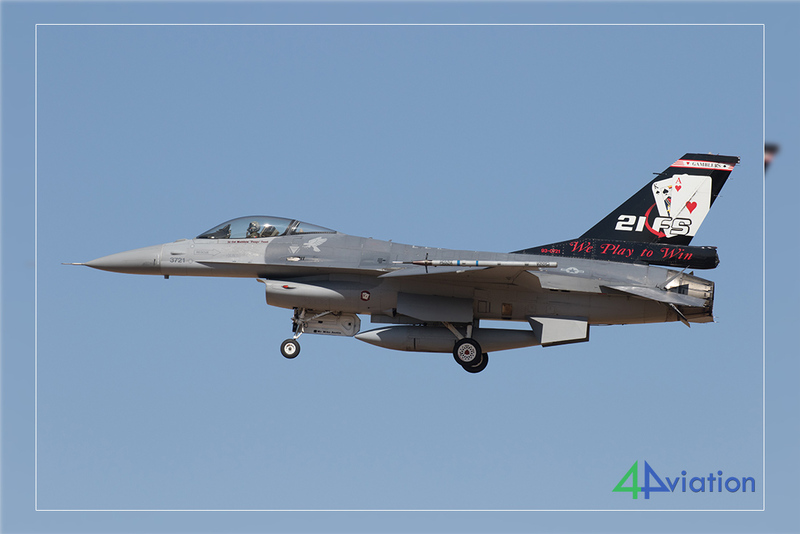 We were able to photograph the landing of the Red Flag mission at the Speedway. 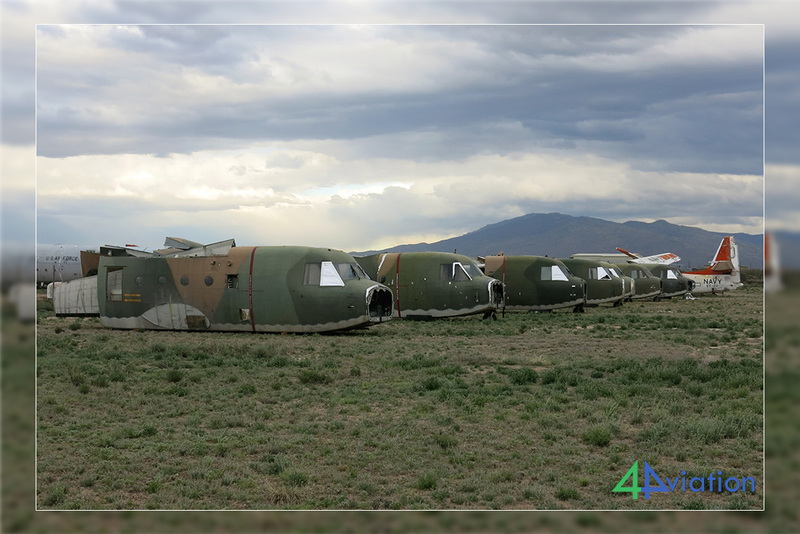 Unfortunately, many aircraft arrived on the back runway. 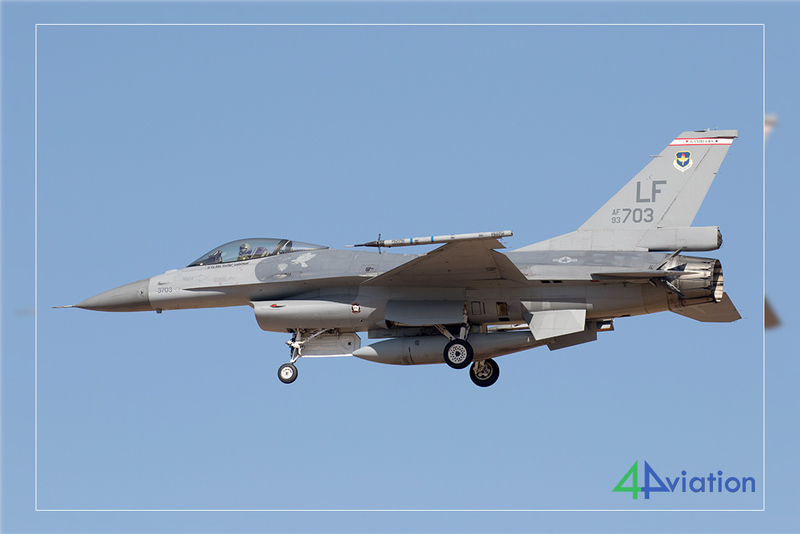 At the end of Red Flag, the local aircraft went out with Strike Eagle’s, F-16s and F-35s. The third day of Red Flag was on Thursday 14 March. How would they fly today? After the usual stop at the gas pump, we started in the approach at Cheyenne. 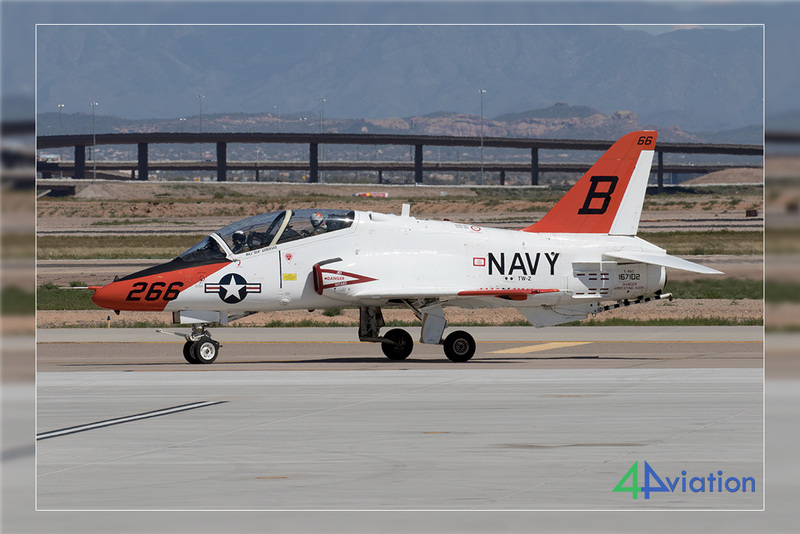 We heard from fellow spotters that there would be a T-45C on McCarren. We drove here and were able to photograph these trainers in the sunshine. The local people did not like this a lot, but then we had the photos already. 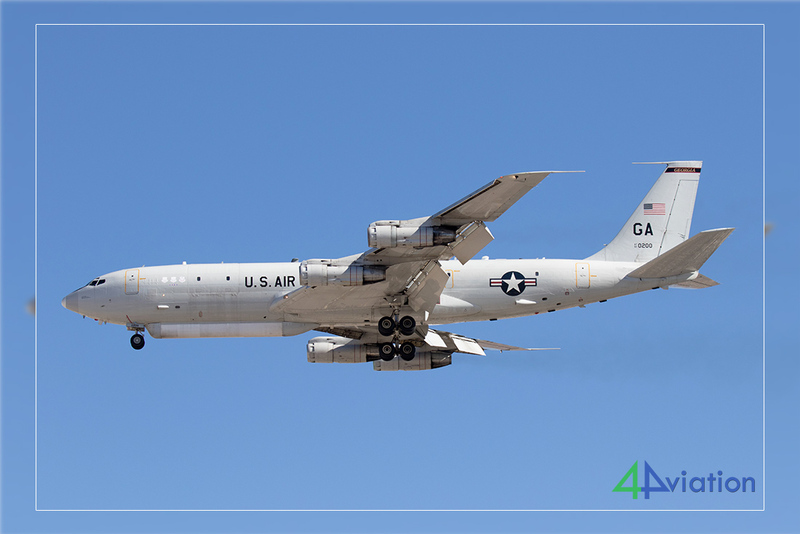 Then back to Cheyenne and here we could photograph a number of aircraft in the approach, including a visiting ARNG C-12U. 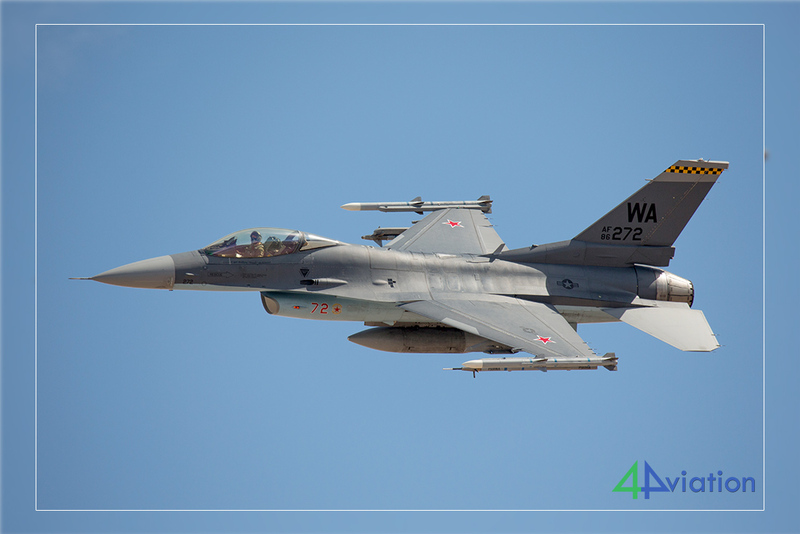 Departure was towards the Speedway with again beautiful banking shots (including local A-10Cs!) And the arrival was via Cheyenne. At the end of the afternoon we were able to photograph the local aircraft nicely with the setting sun. What a beautiful light! After three days the bounty was in the pocket and mostly with sun. After sunset a quick bite and then to our hotel in Beatty. On Friday, March 15, we left for our photo spot in Rainbow Canyon at half past six. We left with cloudy weather but the closer we came to the Canyon, the more sun. However, there was a strong wind, and especially a cold wind. The hats and jackets came in handy. Around eight o’clock we were at the scene. 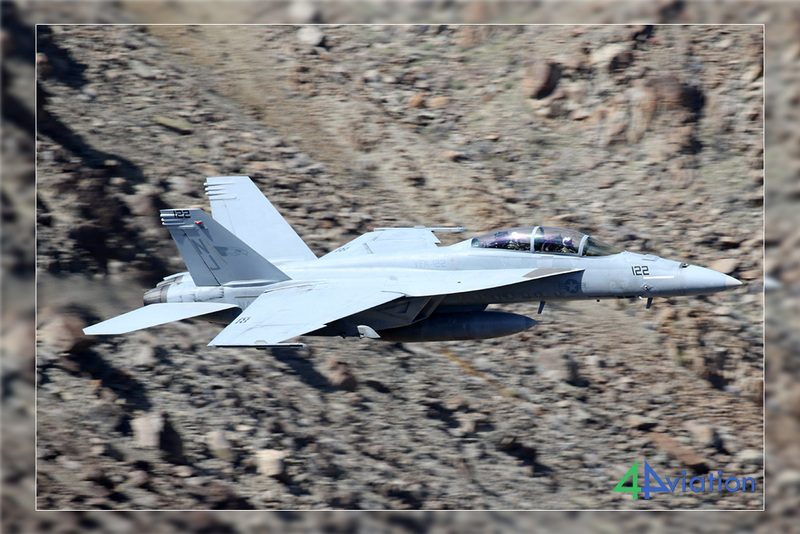 At just before eleven o’clock the first aircraft came through the Canyon; two F A-18Es from VFA-136. Around eleven o’clock the wind also subsided and that saved a few layers of clothing. 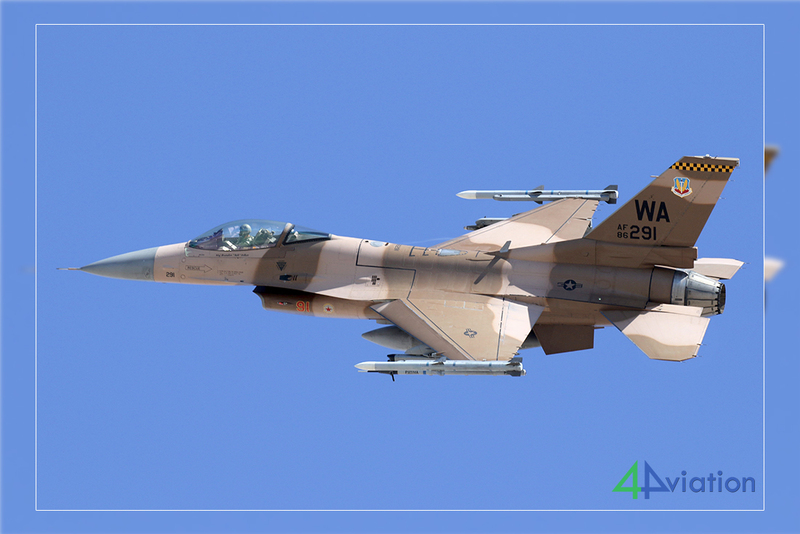 Not much was flown today; “Only” 7 Hornets, an F-16D and a T-38 from Edwards. Now you don’t visit this place for the large numbers, but still. Fortunately the quality is always great. Because we had a drive of over six hours ahead, we decided to leave at four. Along the way three more Hornets came low over us, on our way to the Canyon. Well, you always miss something. After a long drive we arrived at our hotel in El Centro. It was a long but certainly a nice day. 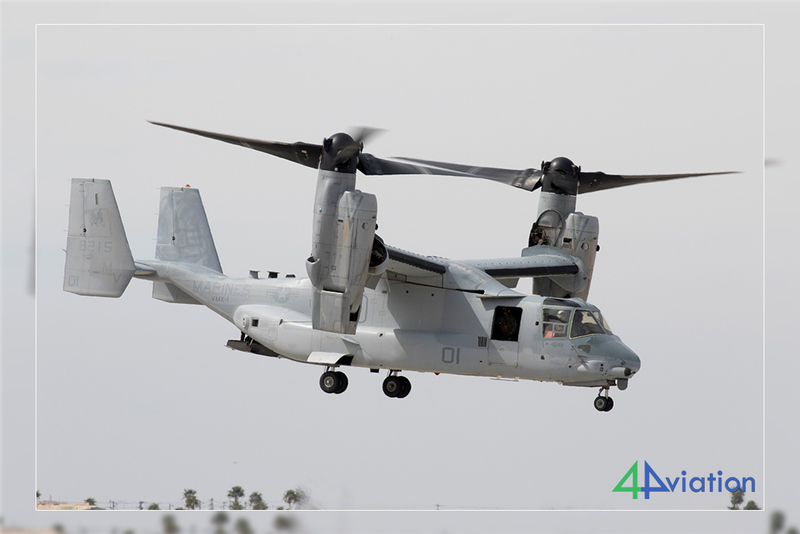 In the meantime the second USA group was also enroute and we had an appointment for tomorrow morning at El Centro. At a reasonably civilized hour, the group gathered for week two of the tour at the meeting point at Schiphol for their flight to London. This was somewhat delayed due to bad weather, but everything worked out in the end because there was enough time for the connection. 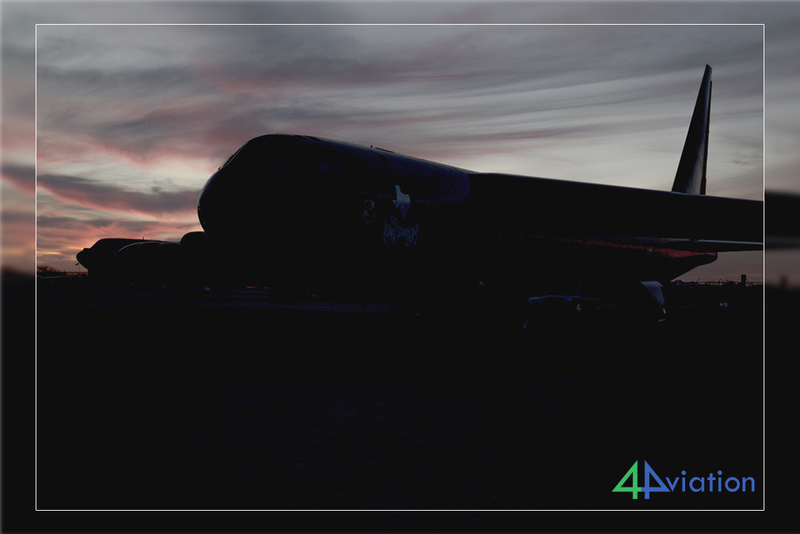 However, due to an air-condition failure with the British Airways Boeing 747 that brought us to Phoenix, we were delayed by more than an hour on most of our trip. Nevertheless, we made the best of it with the flight crew dressed in their very stylish Comic Relief main ornament. After arriving at Sky Harbor airport we picked up our rental vans and drove to Yuma where our beds were waiting. A long day but worth it because we all had a good idea of ​​what was to come. 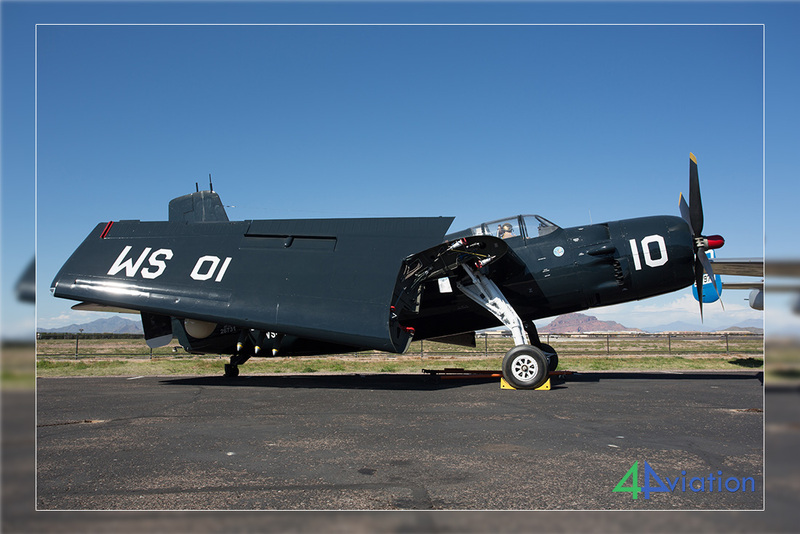 On Saturday, March 16, both groups gathered at the main gate of El Centro for the open day. Soon all the stories were exchanged and the second group was curious what the first group had seen in the first week. It was finally a nice hot day today. The shorts could come out of the bag again. 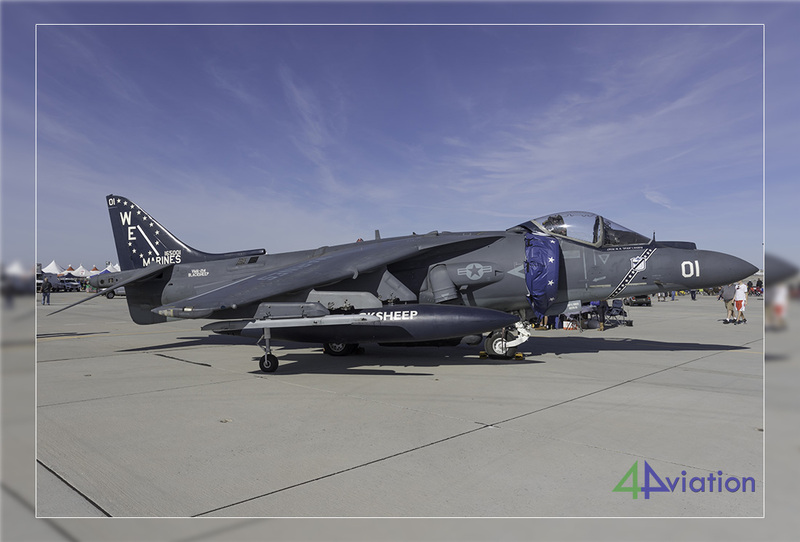 At El Centro, it is a matter of getting to the ramps as quickly as possible to photograph the aircraft, that are not under the sheds, without people. This was pretty successful. 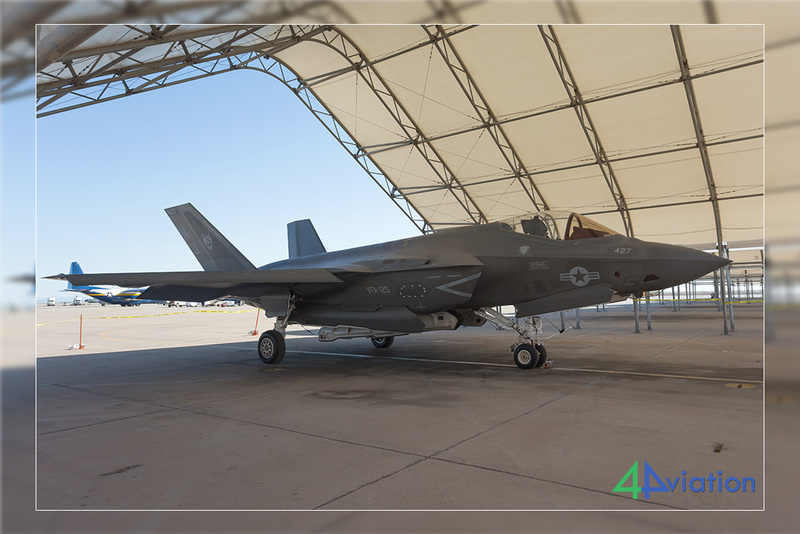 In one of the sheds was an F-35C, the first for many of us. 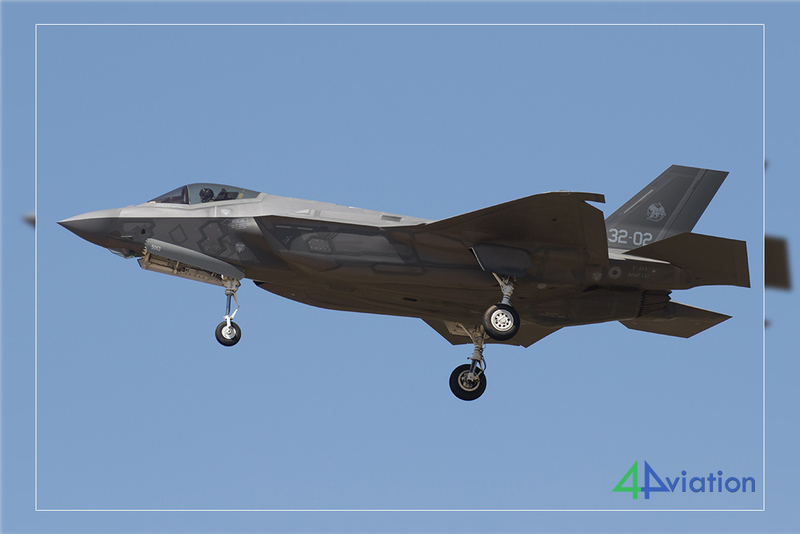 We were only allowed to photograph the JSF straight or diagonally from the front, but certainly not from the side … The air show consisted of, among other things, the Blue Angels, an F/A-18C, a KC-130T and a few warbirds. 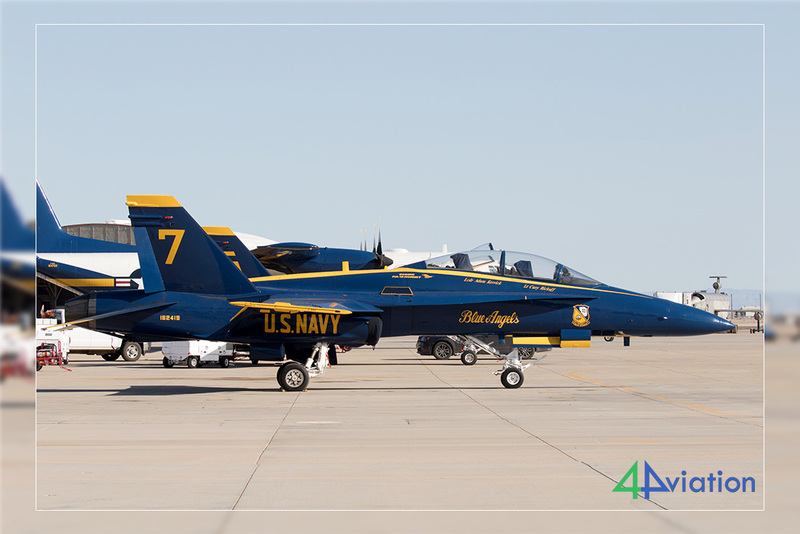 When the Blue Angels were ready we gathered at the car again. It took a while before everyone was there and before we could leave the field. Fortunately our hotel in Yuma was not far away. After arriving in Yuma, the whole group gathered to eat after check-in. Because tomorrow we want to go to Mesa Williams Gateway on time again to bed on time. On Sunday, March 17, again, we could not sleep in and the whole group went to Mesa Williams Gateway on time. It is always a surprise what is present here and on arrival, around ten o’clock, we were treated to nothing…. 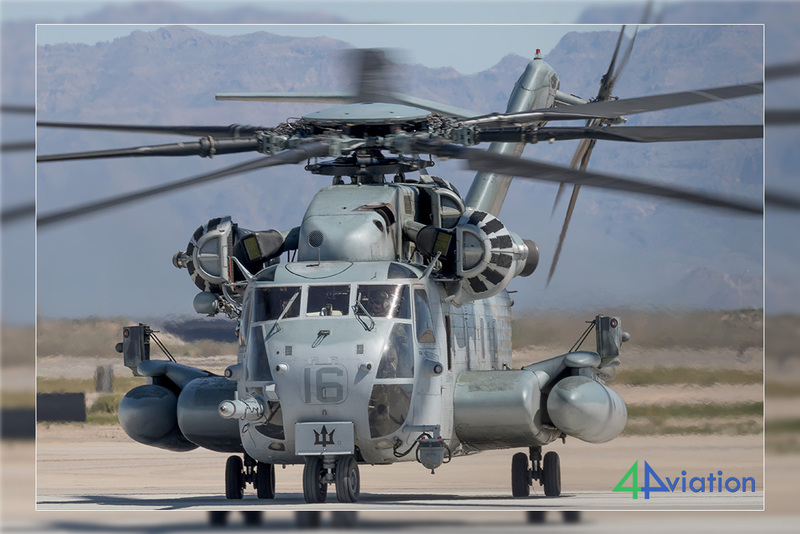 Fortunately, two CH-53E landed around noon, followed by two T-45Cs and the departure of a KC-135R from Utah ANG. We also saw the two Goshawks leave. 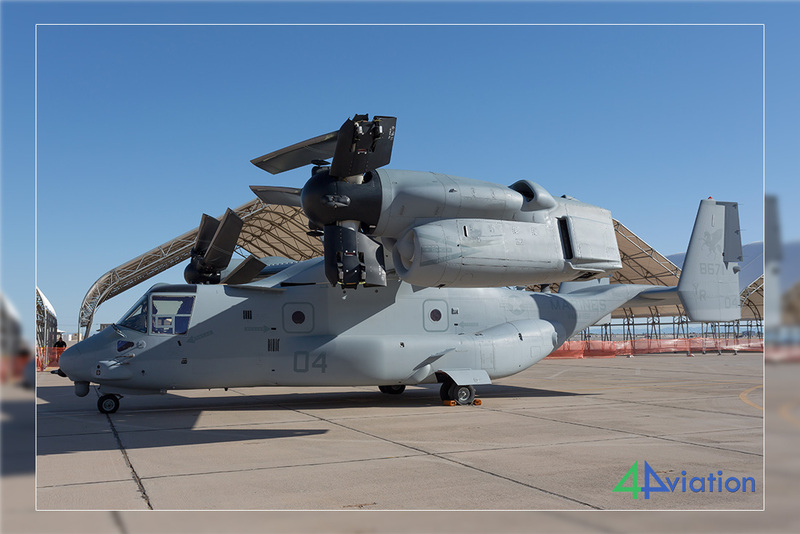 One of the two CH-53Es was not working properly and did not leave on time. 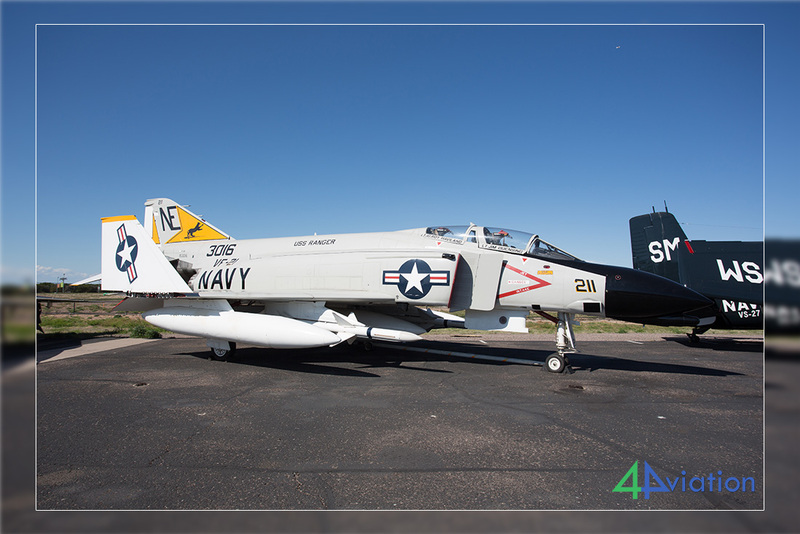 We decided to visit the museum at Mesa Falcon Field. The museum was closed but all the aircraft from the museum stood outside in the sunshine. 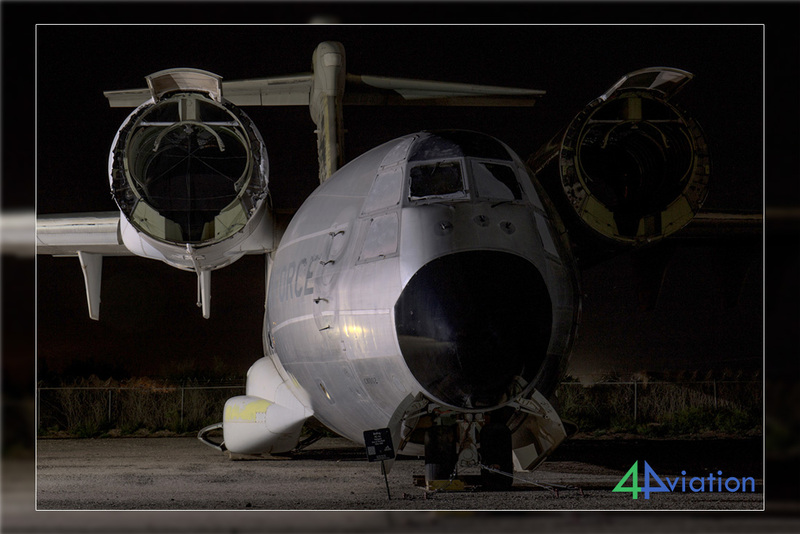 We spoke with the people from the museum who were working and they let us out into the airfield for a fee. 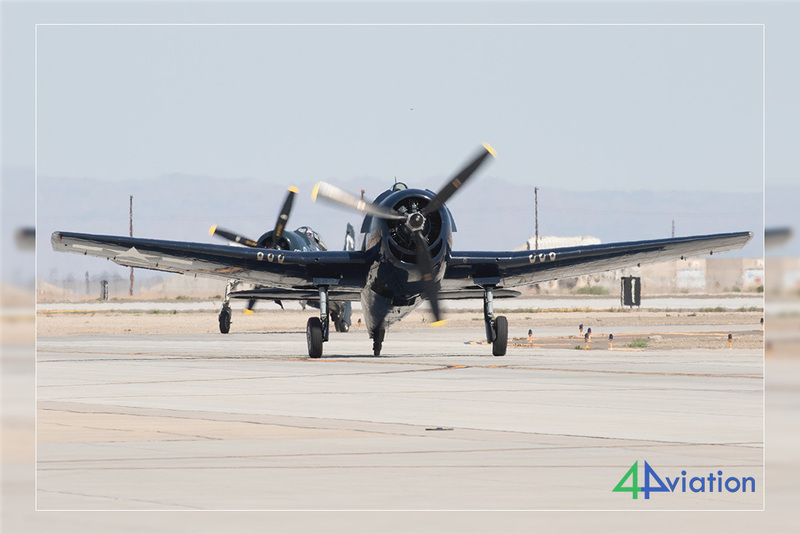 We were able to beautifully photograph all the aircraft and we also got a tour of the maintenance hangar of the Arizona Commemorative Air Force (CAF) where we were also allowed to photograph everything. A nice bonus today. Then it was time to say goodbye to the first group of people. Those who had booked one week went back to England, Italy or the Netherlands with the necessary delay. We all drove to the airport and said goodbye. The remaining traveling companions left with three vans for Las Vegas. 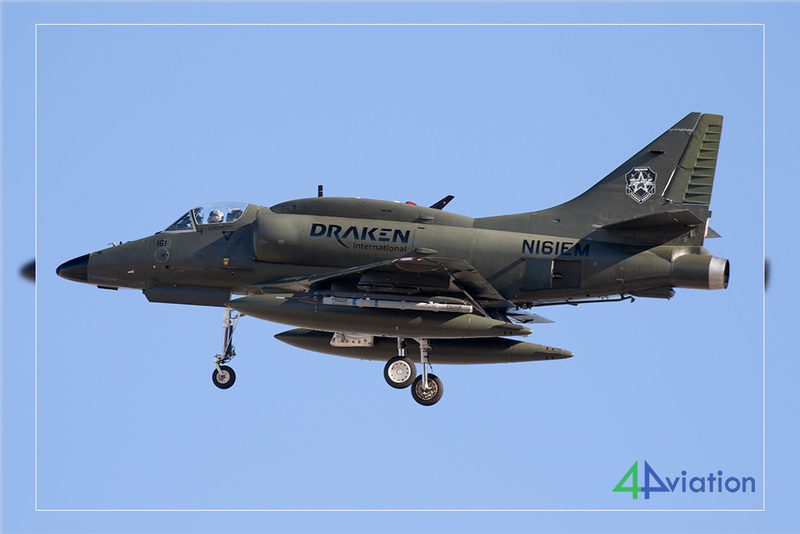 This Monday March 18, we were sitting in position at an early hour waiting for the first arrivals of the day at Nellis AFB, but it was not to be until around 10.00 when Draken L-159s and A-4s took off accompanied by USAF F-15s and F-35s. Red team was in the air! 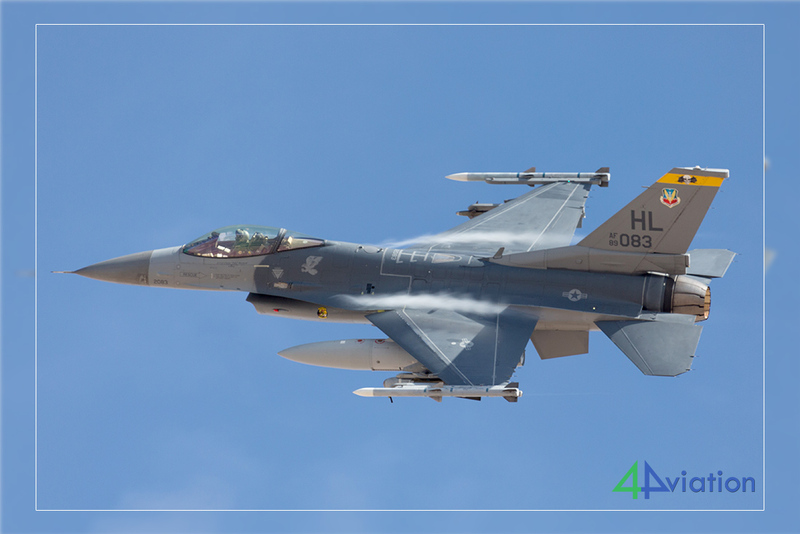 Unfortunately, as is often the case at Nellis, the action always seems to be at the wrong end but the group decided to head for the Las Vegas Speedway and get whatever photos they could. What a great decision. 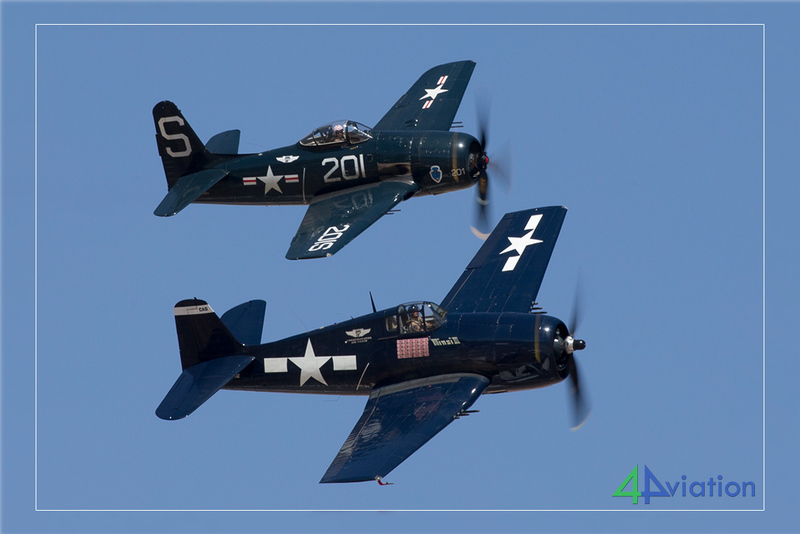 The afternoon wave of exercise participants consisted of over fifty aircraft, all taking off over a period of about one hour. 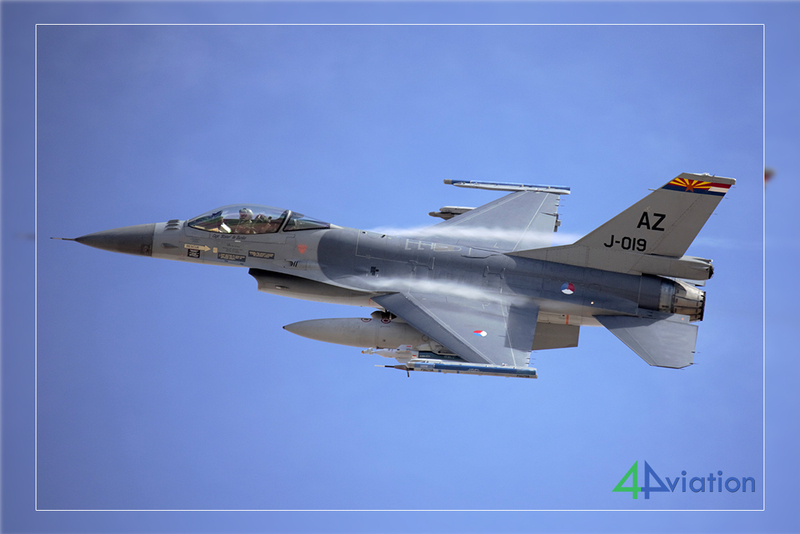 Such delights as F-15s from the USAF, Singapore and Saudi Arabia, USAF F-35s and aggressor F-16s, as well as Dutch and Belgian F-16s and US Navy EA-18G Growlers graced the camera lenses with their presence. Of course all these planes had to land too and we were there for that as well. Once this was done, the famous 4Aviation flexibility kicked in. 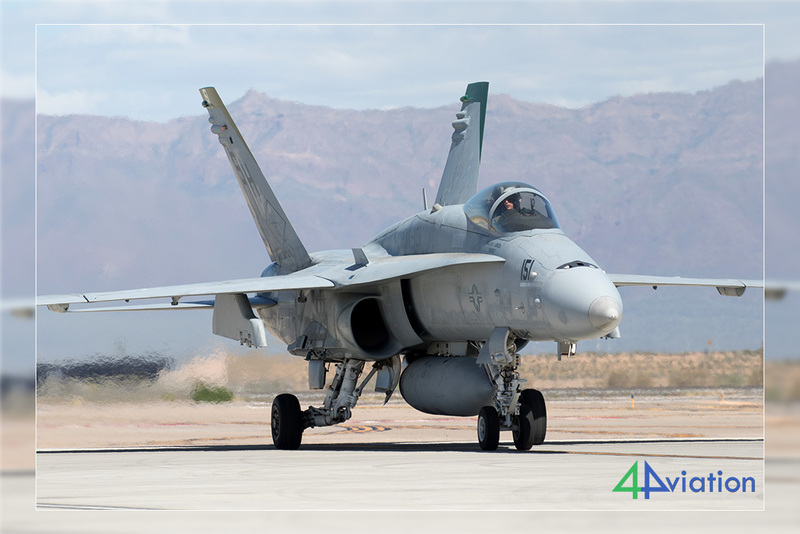 Some of the group decided to leave for the hotel and the remainder stayed on for what remained of the evening outside Nellis, including a few afterburner take-off shots. We all met up at the hotel in Beatty, well satisfied with our day. 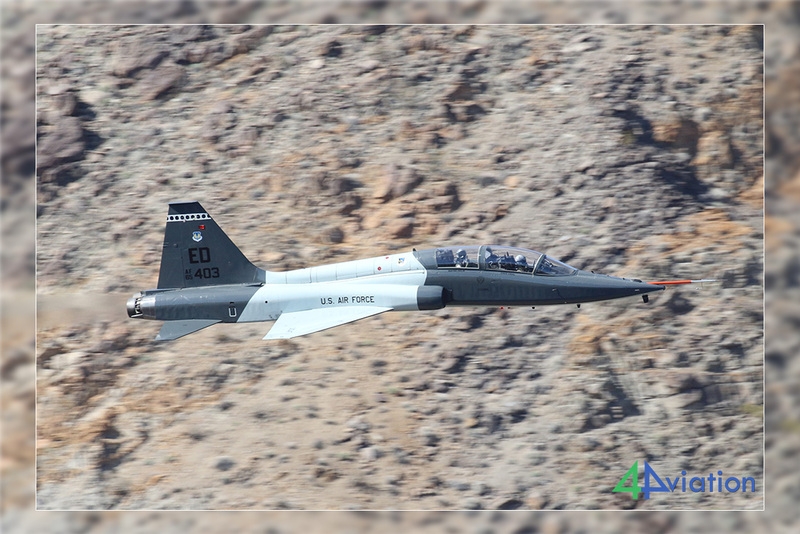 On Tuesday March 19, we traditionally started early for a drive across Death Valley to Rainbow Canyon for some low flying photo opportunities. 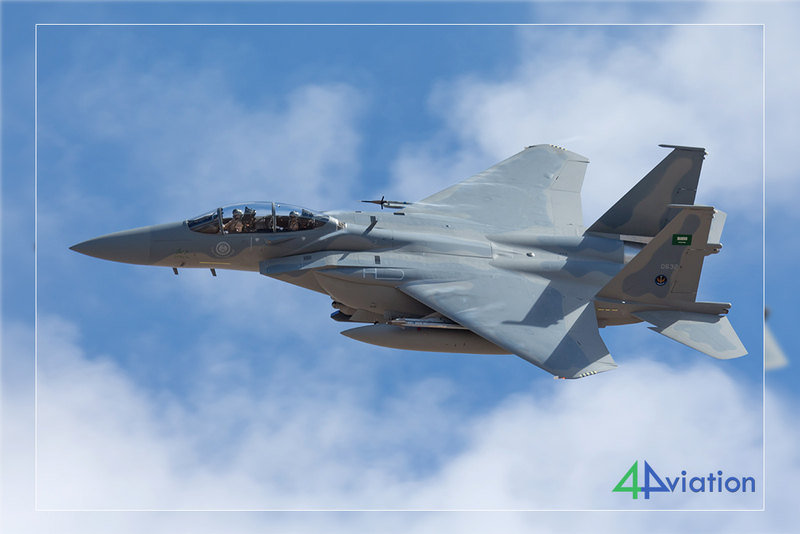 After a slow start, two Fresno F-15s made a high pass. 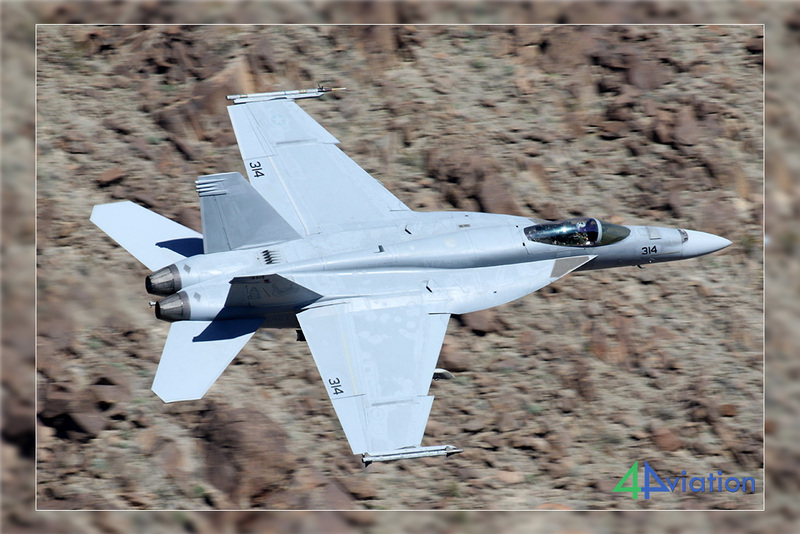 This was a shame as one was spectacularly painted, however a few minutes later, the US Navy showed us just how it should be done, with low passes from C and E model F/A-18Fs. After a ‘lazy lunch’, the Fresno guys were back with a vengeance, screaming low through the canyon and showing off the top side view of their colour bird. 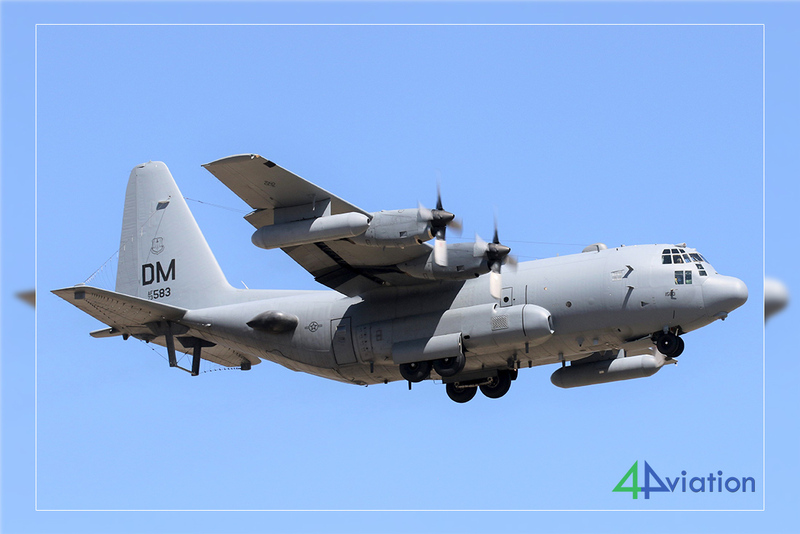 In between times, we also had a magnificent low, twisting pass from a Little Rock based C-130J. This type of action is what being at the canyon is all about and should not be missed. 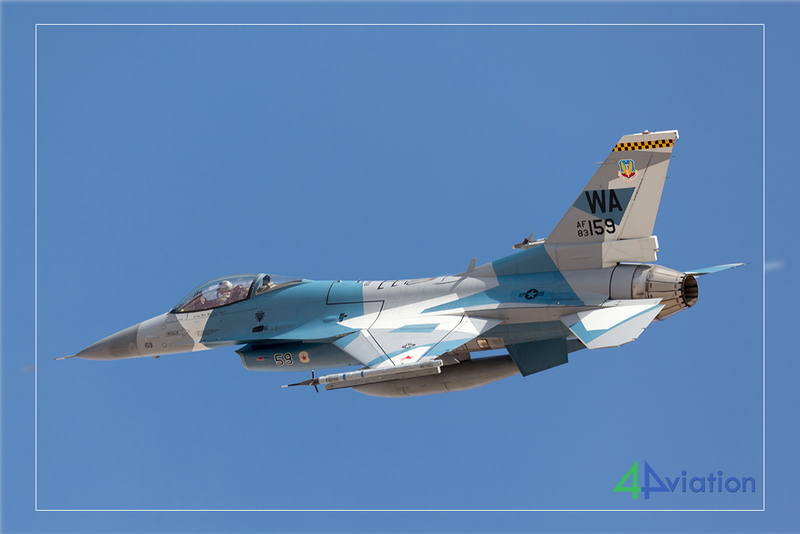 More US Navy Super Hornets were to follow including the colourful boss bird from the Stingers then the day was rounded off in style with an Edward’s AFB T-38, which sadly your scribe missed! Oh well. 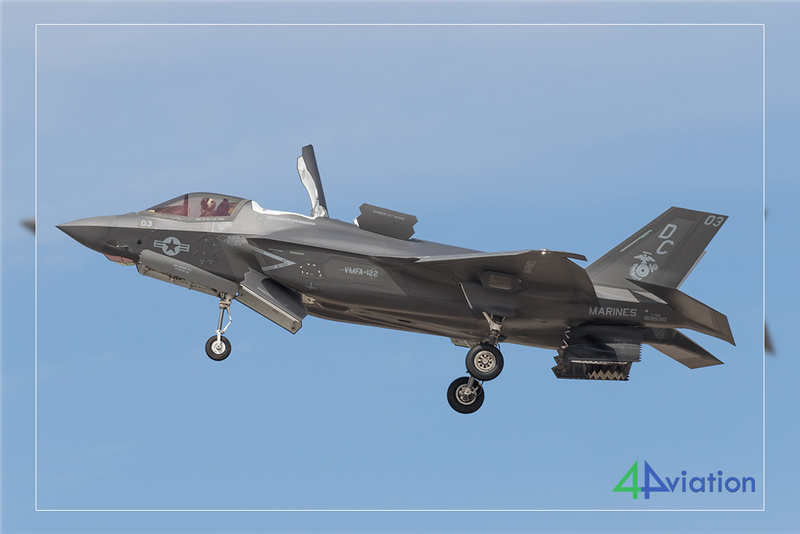 This Wednesday March 20, the weather was promising to be relatively poor in Las Vegas, the group decided to have a later start, arriving at Nellis at 08.45. As the base was quiet, we had a Brexit-like meeting to discuss our options for the coming days. All was sorted until the European group started to change their minds. C’est la vie!! 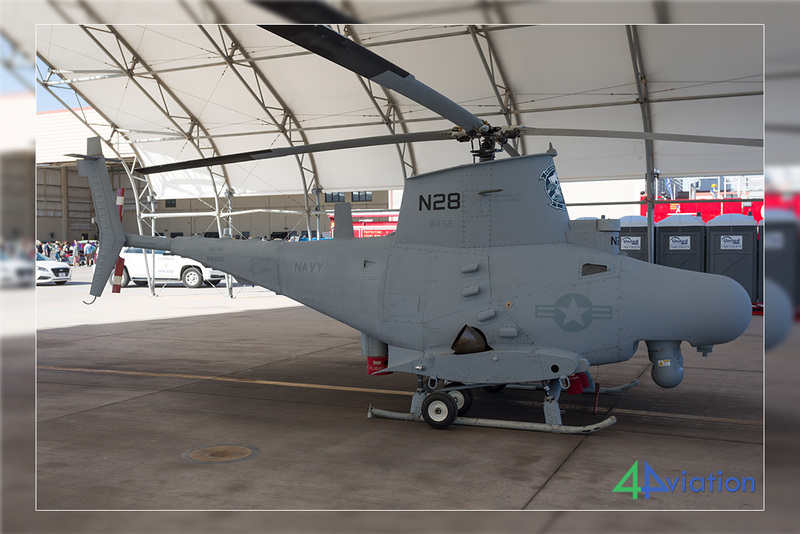 We got some news of three Canadian CH-146 Griffons at Las Vegas North Airport, so we headed off on the short journey to find them. Luck was on our side as we got very close and the sun also shone for the first time in the day too. 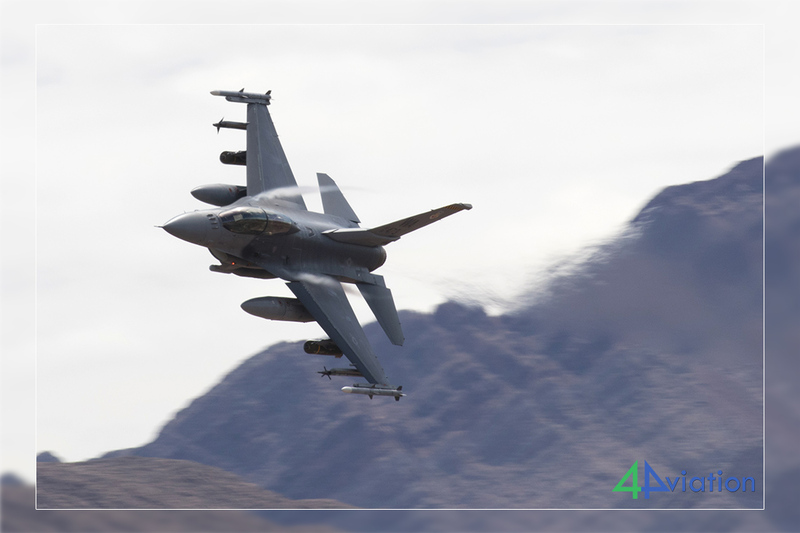 Once back at Nellis we took up position at the Speedway end and were soon rewarded with some splendid take off action from local F-16s and F-15s albeit in gloomy conditions. 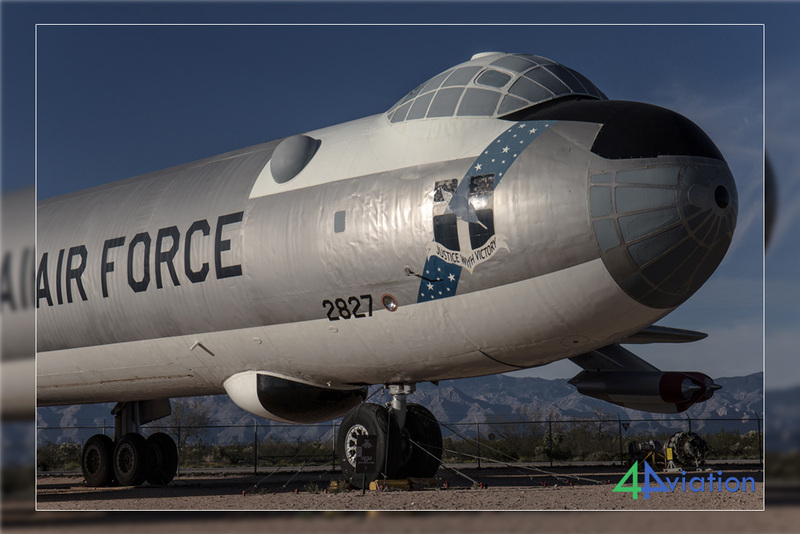 There were also happy smiles from the group when a B-52 appeared in the approach pattern and landed. By now the weather was getting worse, so we quickly went on a scouting mission for some new photo spots for our future tours. These were added to the satnav and we went on our way to the warmer climes of Phoenix only to be held up by a truck fire along the way. 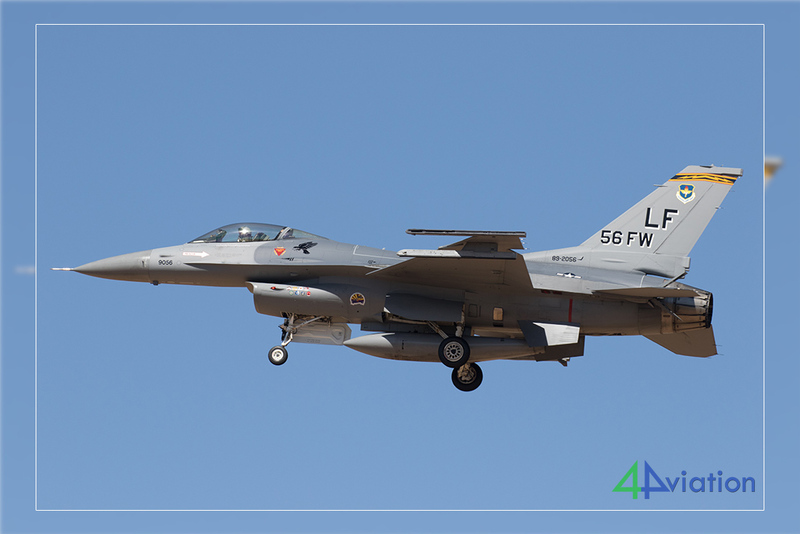 On Thursday March 21, after a traditional American breakfast, the group was on its way to Tucson International Airport to hopefully take pictures of the F-16s based there. 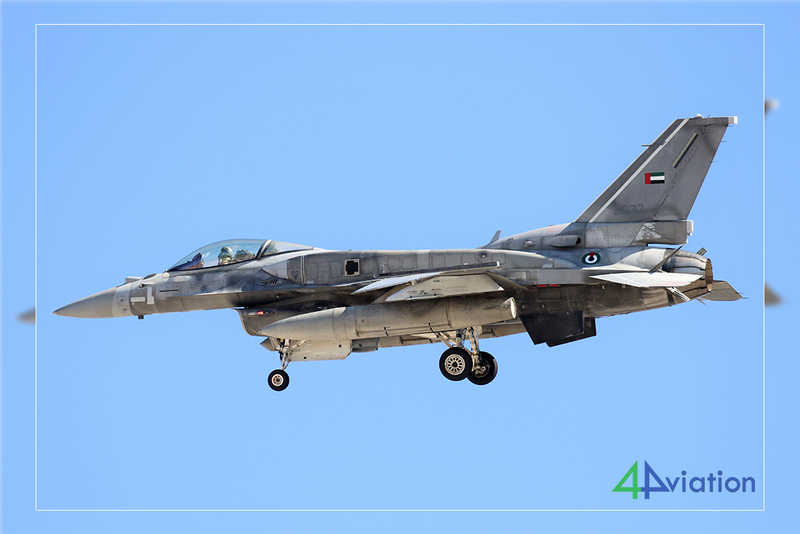 Fortune favoured the early and we managed to see twenty six aircraft before 09.00, all in perfect sunlight, including Iraqi F-16C and D models. Some of the group then moved to an alternative location and were duly rewarded with the Rolls Royce engine test-bed Boeing 747 landing as well as some tight turning F-16s. 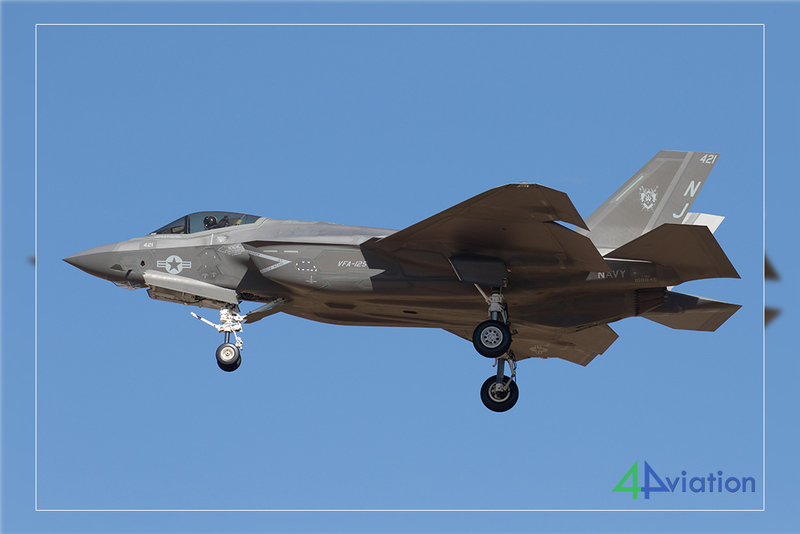 The next chosen location was close to the end of the runway at Davis Monthan AFB in readiness for the arrivals to the forthcoming air show. Yet again, a great day even though it was slow at times. 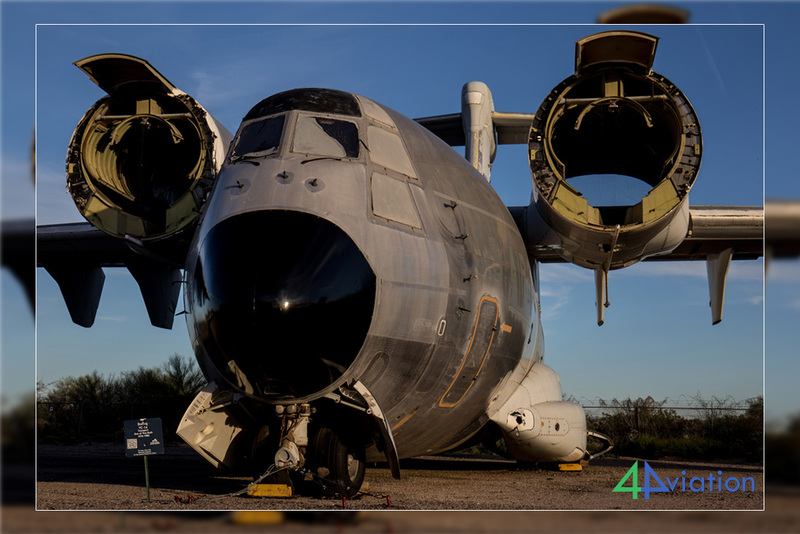 Some unusual sights were seen including a C-5, a KC-10 and two C-17s from different squadrons and assorted war birds amongst others. 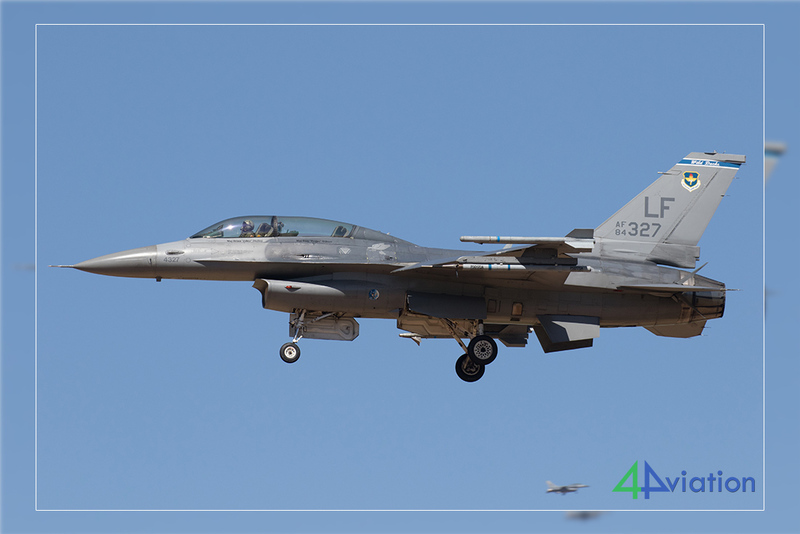 This Friday March 22, no flying was taking place in the Tucson area due to the preparations for the weekend air show, the group decided to split up, with some heading for Luke Field in Phoenix to see the huge numbers of F-16s and F-35s that are based there. 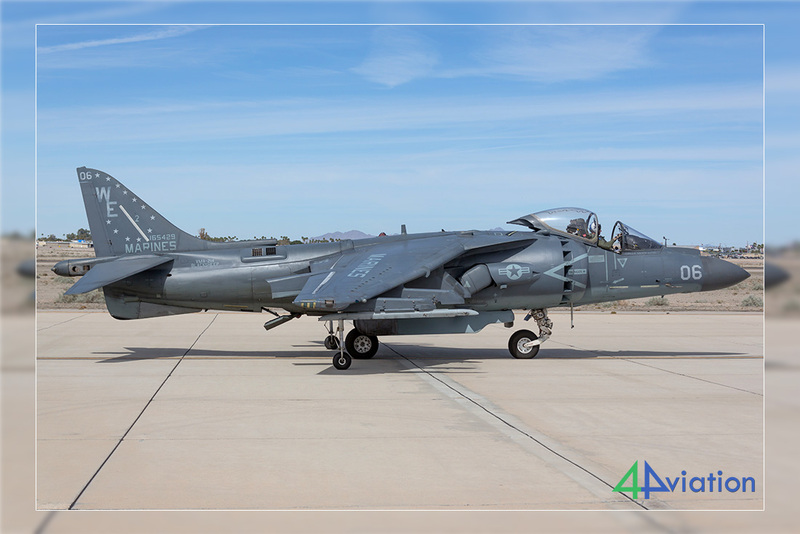 The remainder went to the Pima Air and Space Museum to view the large collection of aircraft and for tours of the Davis Monthan boneyards. 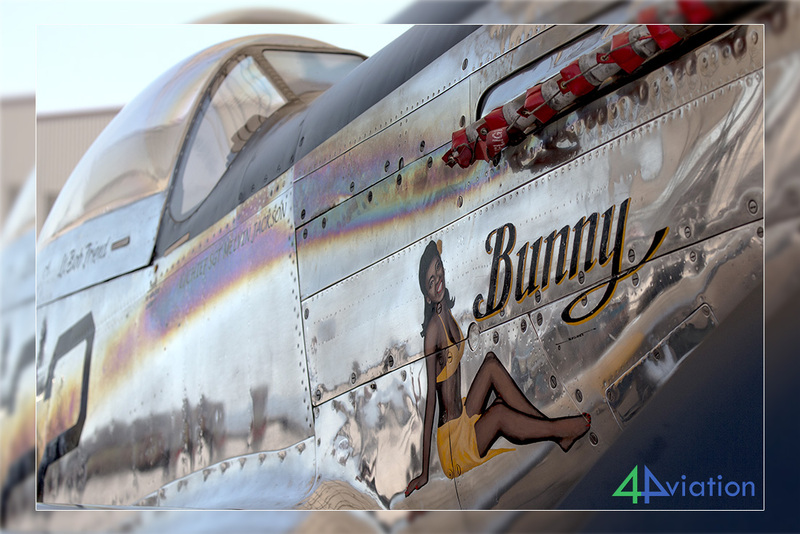 A boneyard fence walk was also made for the more serious spotters in the Tucson group. 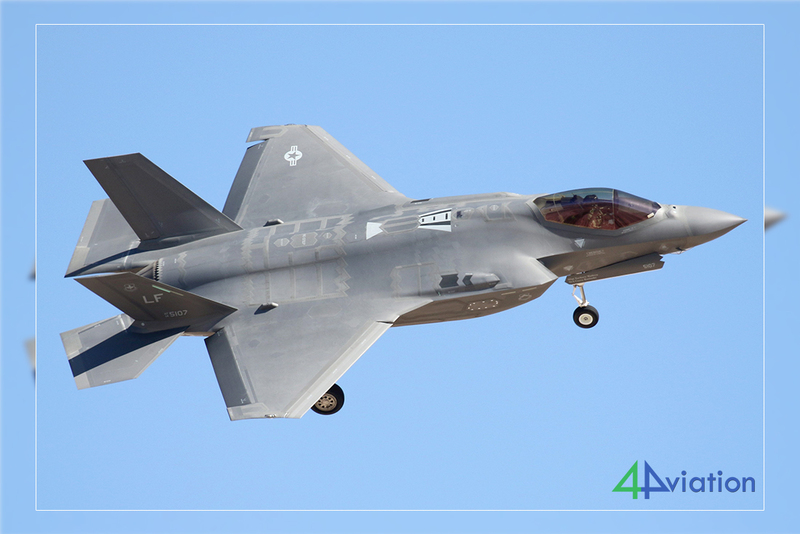 On Saturday March 23, the group was out early again to attend day one of the Davis Monthan AFB air show. 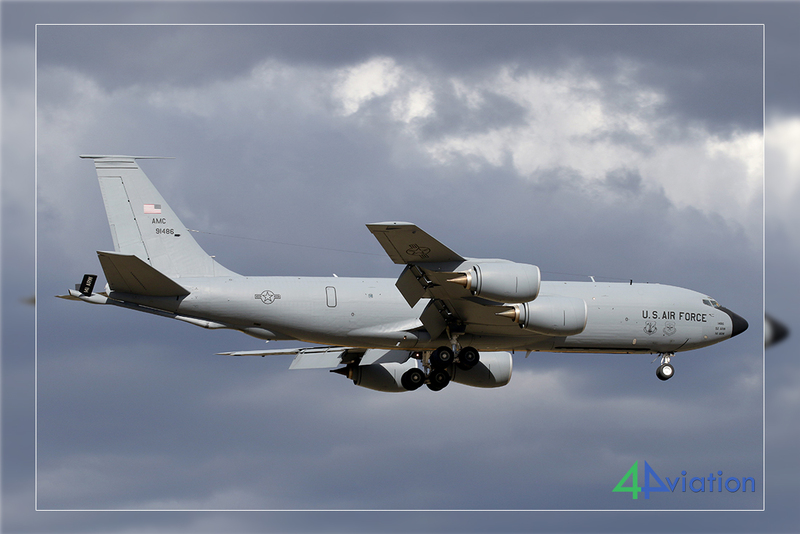 Our fitness was tested with another long entry walk but the reward was high as there was a big variety of aircraft on the ramps, including two C-5s, a B-52, a KC-10, a TC-135 and a KC-135. 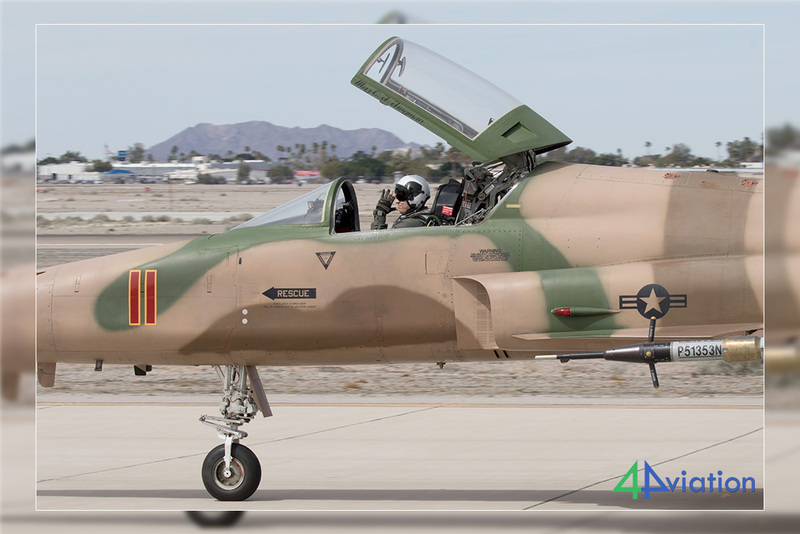 The fighter end of the show ramp had an A129 Super Tucano, two T-38s and many air frames towed in from AMARG and the nearby Pima museum whilst the base A-10s on the flight line exhibited some impressive mission mark scoreboards including an F-22 kill! Wouldn’t we just love to know that story? Sadly, decent flying photos were hard to come by as the sun was constantly at the wrong angle, so later in the day, some of the group headed to the far side of the field for better photography light and a night shoot that had been organised at the Pima museum. The latter proved to be a steep learning curve in night photography but it was extremely enjoyable. 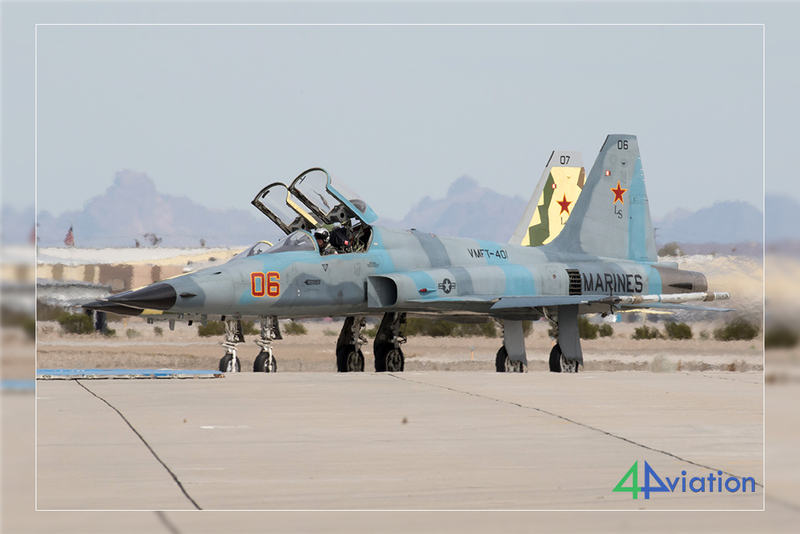 This Sunday March 24, started with a short team meeting, the group made a decision that they didn’t want to go back to the air show today, so instead we made a brief visit to Tucson IAP to catch a passing T-45 and Marines CH-53 before driving north back to William’s Mesa Gateway airport. 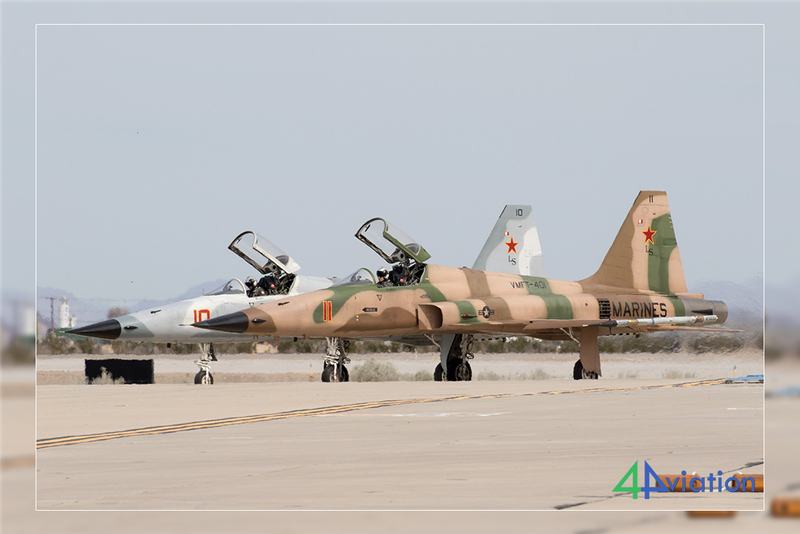 As ever, this was a great decision as we saw one T-38 from Beale AFB, three Marine Hornets from two squadrons including a colour bird and then best of all, three T-45s from TW2, one of which was in full colour Redhawks markings. As the airport grew quiet, we returned to the nearby brewery for our evening meal, thus proving that some sayings are incorrect! A short drive to our hotel concluded our penultimate day of a superb tour. On Monday March 25, the group were raring to go early today as this was the beginning of the end. 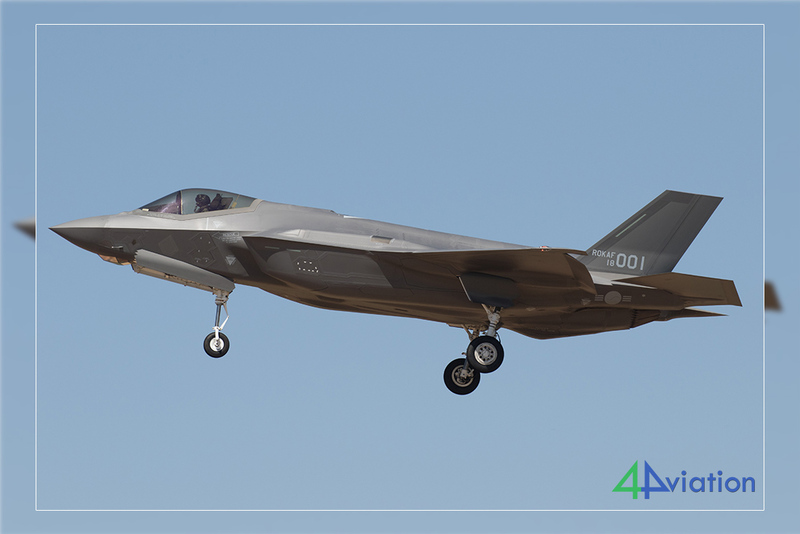 It meant a full day outside Luke AFB photographing anything in the air. And oh boy, was there a lot of it? You bet. 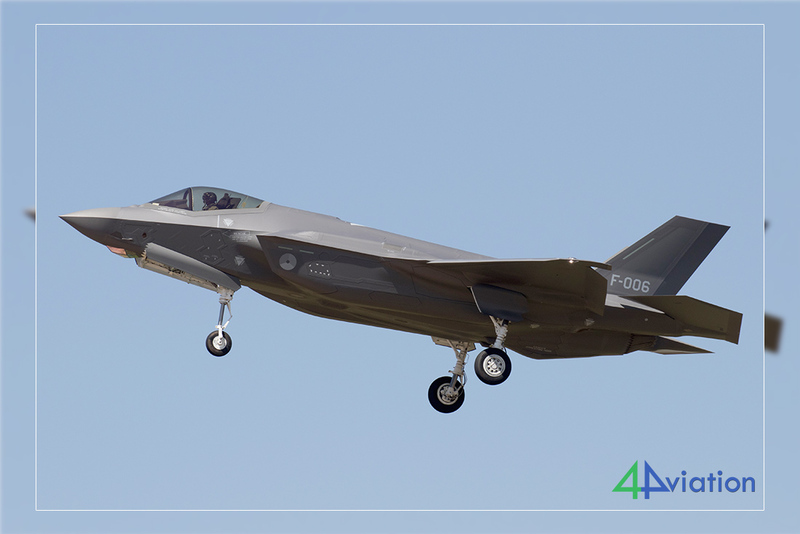 We started with two Australian F-35s, numerous USAF F-35s and F-16s and then a Turkish air force F-35 followed by number one and two from South Korea all before 11.30. A Columbus T-38 kept us on our toes but with temperatures rapidly climbing, we made good use of the shade provided by our cars and a water-run to the nearby garage. 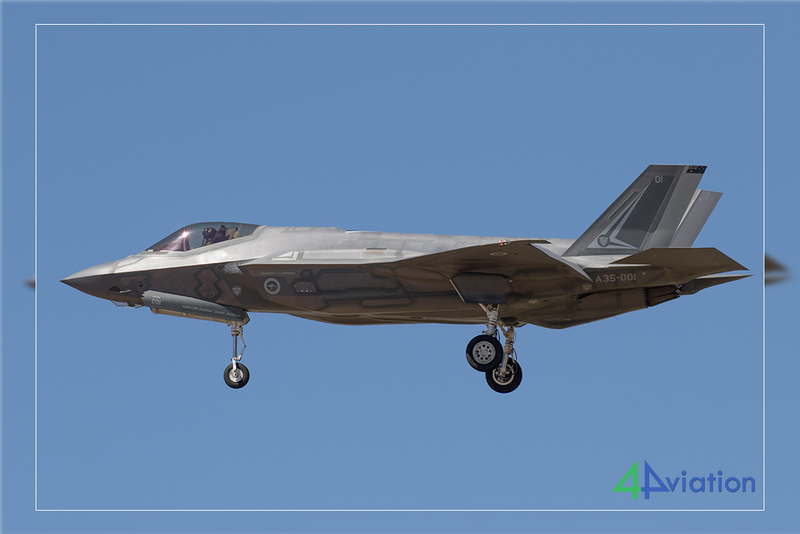 Italian, Dutch and Norwegian F-35s followed before lunch and then the F-16s took over. 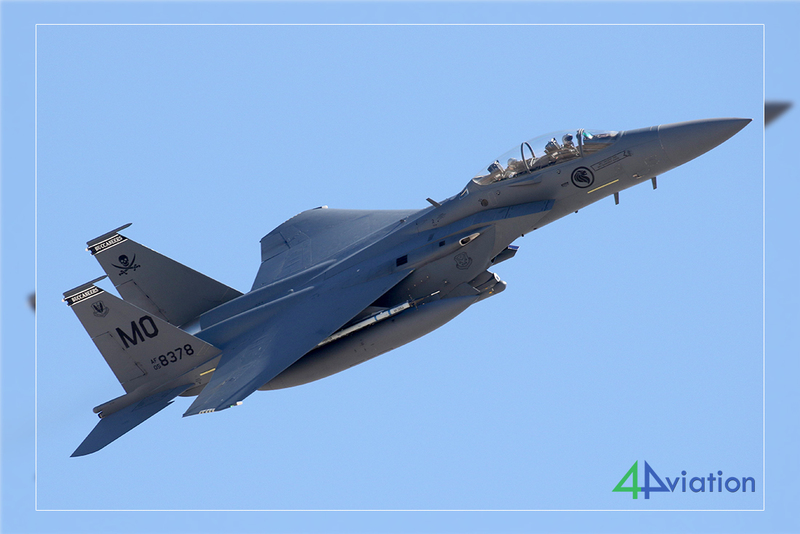 There were multiple visitors from Holloman AFB, Alabama ANG and South Carolina ANG along with F-15s from Fresno in California. Reluctantly, we had to leave but at least the journey to the airport was smooth and the check-in painless followed by straightforward flights to arrive safely at home after yet another wonderful tour.